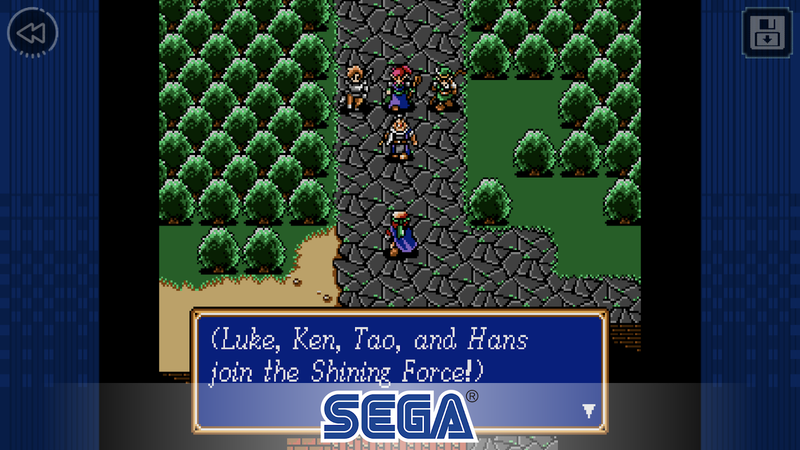 Shining Force Classics is a new SEGA Forever release that collects Shining in the Darkness, Shining Force, and Shining Force II. 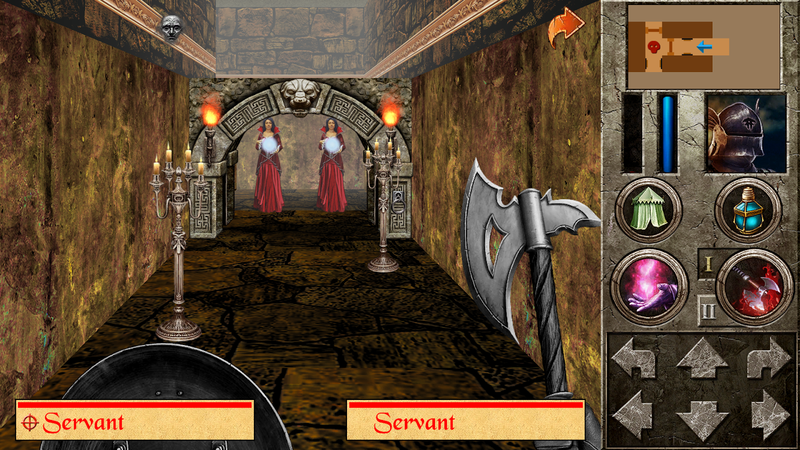 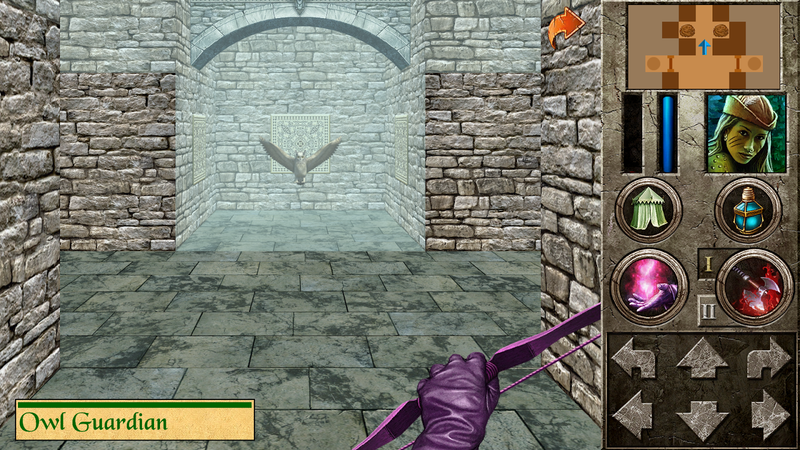 The original title is a first-person dungeon crawler, and the other two are strategy RPGs. 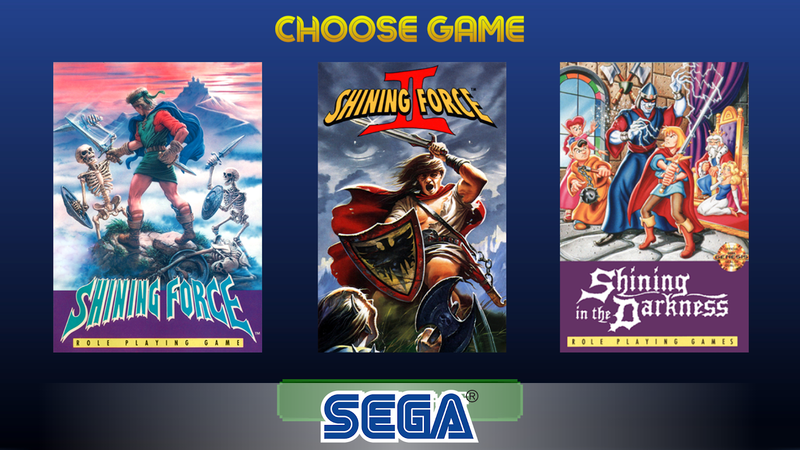 Like most Forever releases, you can pay to remove the advertisements in each game, which makes for a much better experience. 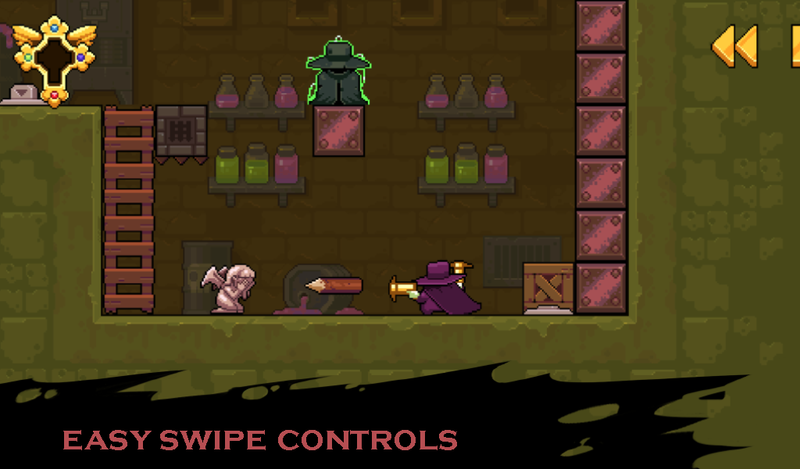 The touchscreen controls work well since these are all turn-based games, so you won't have to worry about awkward touchscreen controls. 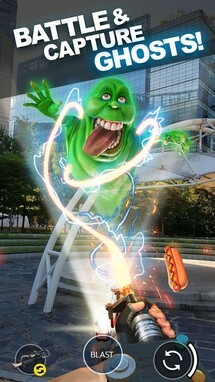 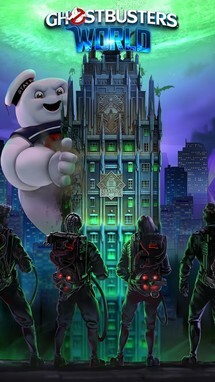 Ghostbusters World is the latest title on the Play Store to copy the familiar augmented reality collection-based gameplay of Pokémon GO. 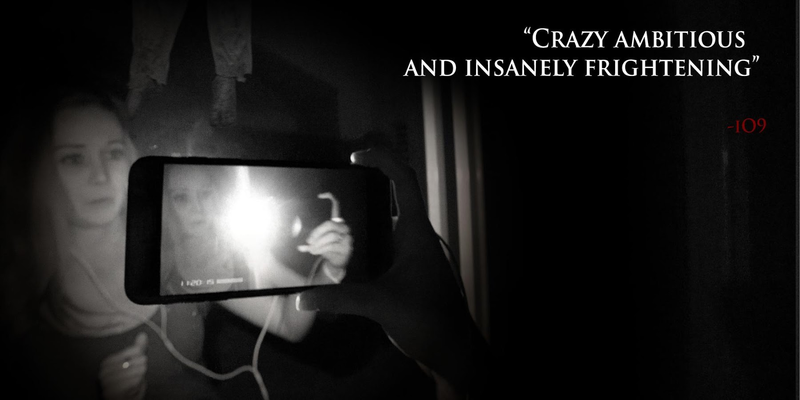 As you can imagine, the primary objective is to catch and collect ghosts, all while exploring your neighborhood and local cities for the rarest apparitions. 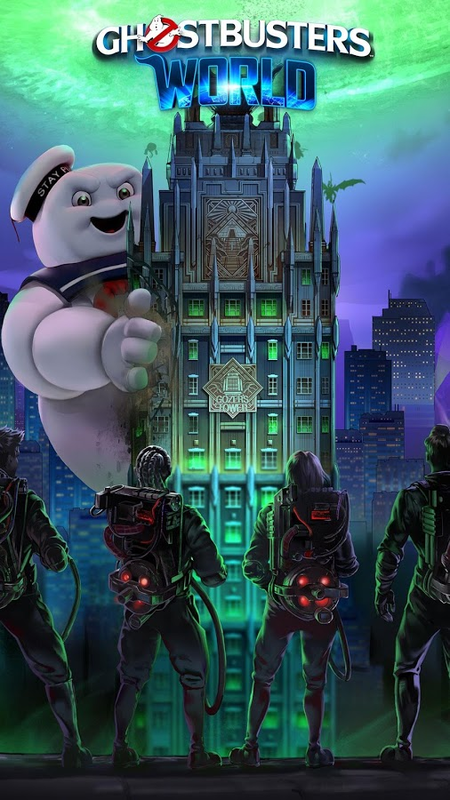 The attention to detail is substantial, and the core gameplay of catching ghosts can be fun, though the monetization gets in the way a little too often. 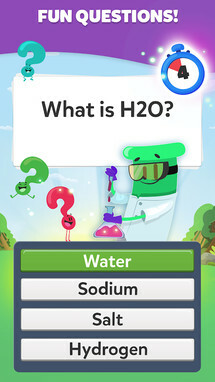 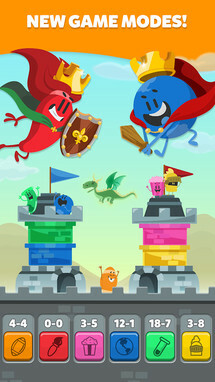 Etermax's Trivia Crack 2 takes everything that was great about the original Trivia Crack quiz game and polishes the UI for easier navigation while also adding in a few new game modes. Past those slight tweaks, there's little else that differentiates this release from the last. 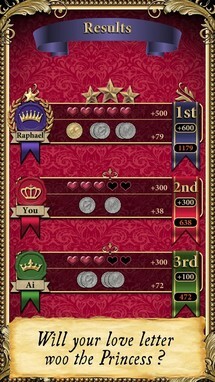 It's a fun game, but I have to wonder why the devs just didn't update the original with these changes. 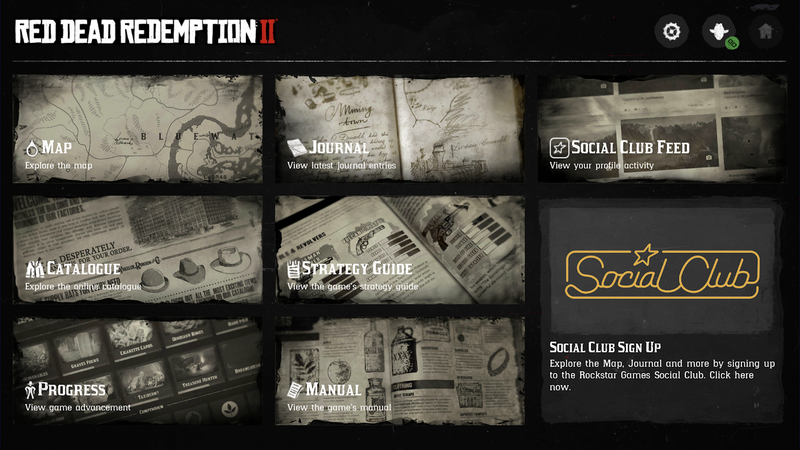 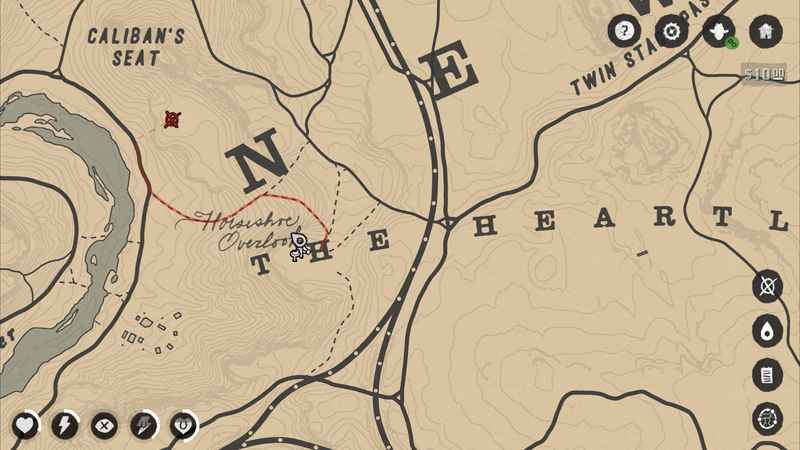 Okay, so the RDR2: Companion app isn't actually a game, though it does tie into the PS4 and Xbox One release of Red Dead Redemption 2. 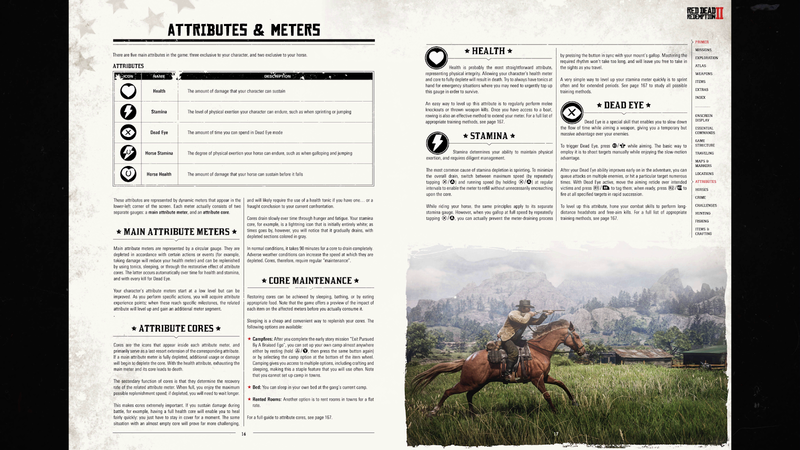 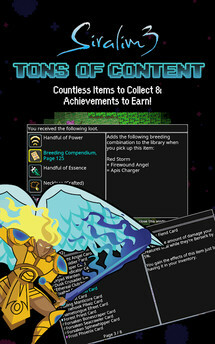 It offers a real-time interactive map with pan and zoom functions, and it also serves as an in-game journal, a full game manual, and an optional comprehensive strategy guide. 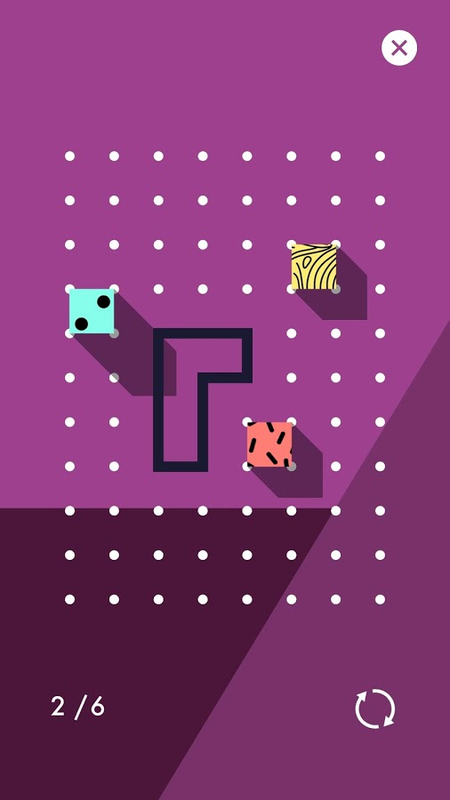 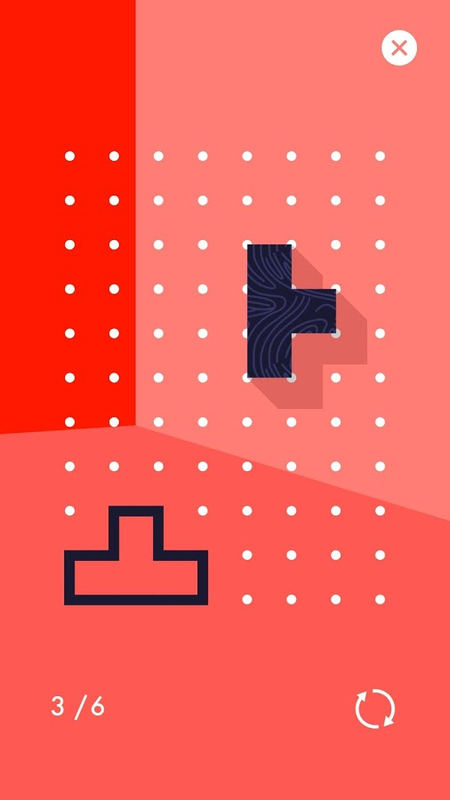 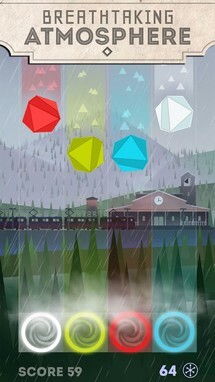 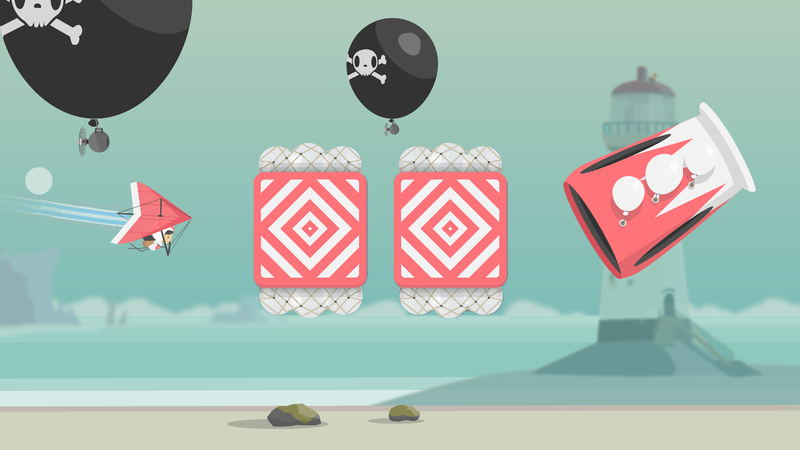 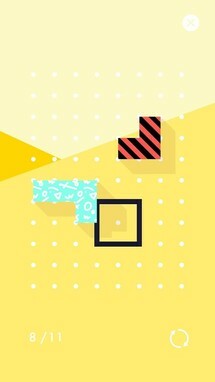 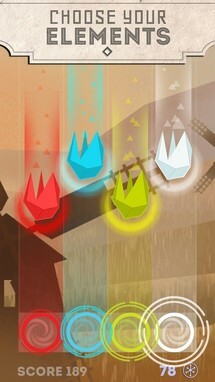 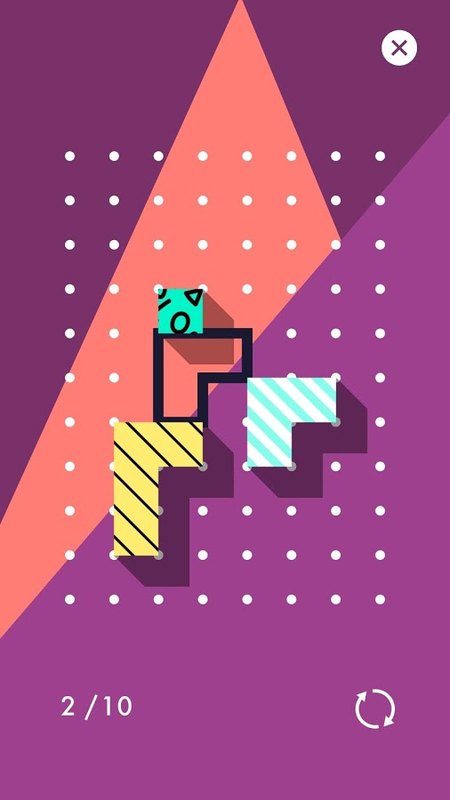 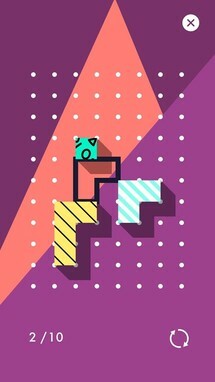 Toppl is a tricky game, but it's definitely worth playing if you enjoy perspective puzzlers. 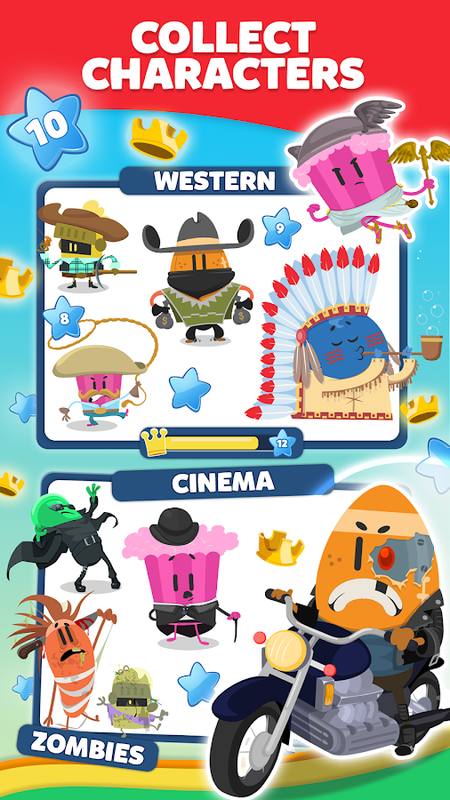 It will take great spatial awareness to solve all forty of its brain teasers that are spread out over four differently themed worlds. 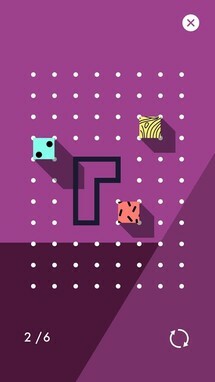 The minimal design is very charming, and it's also used as part of the gameplay, which is what makes this title so challenging. 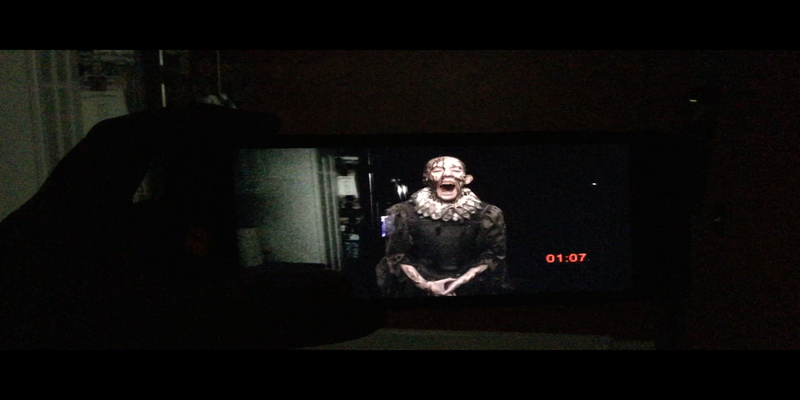 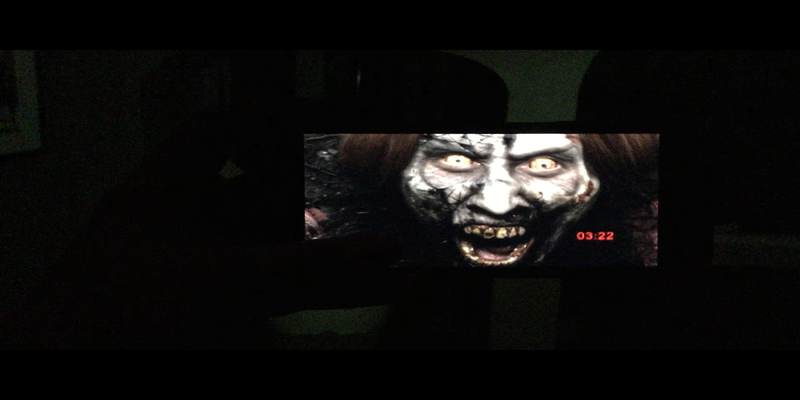 Night Terrors: Bloody Mary is an augmented reality horror game that comes from the Paranormal Activity creator, Oren Peli. 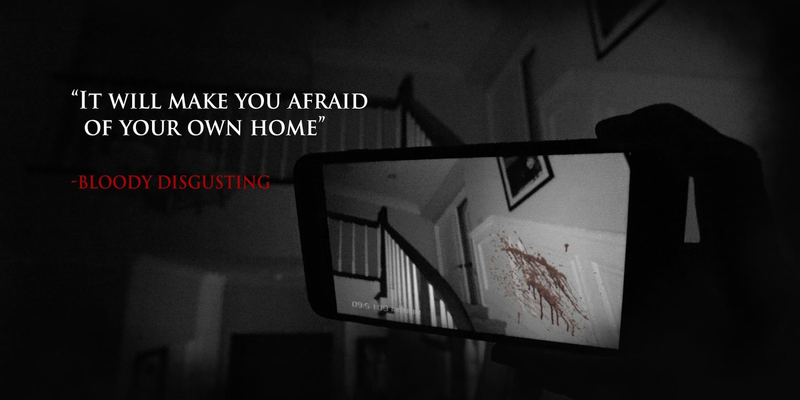 It's a fantastic release to play in the build-up to Halloween, though you shouldn't expect anything groundbreaking. 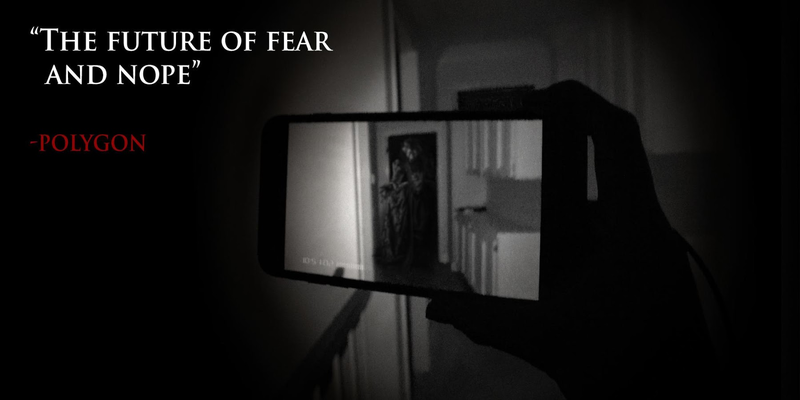 The scares aren't that intense, and the AR functionality has little effect on the live action video that plays out through your spooky journey. 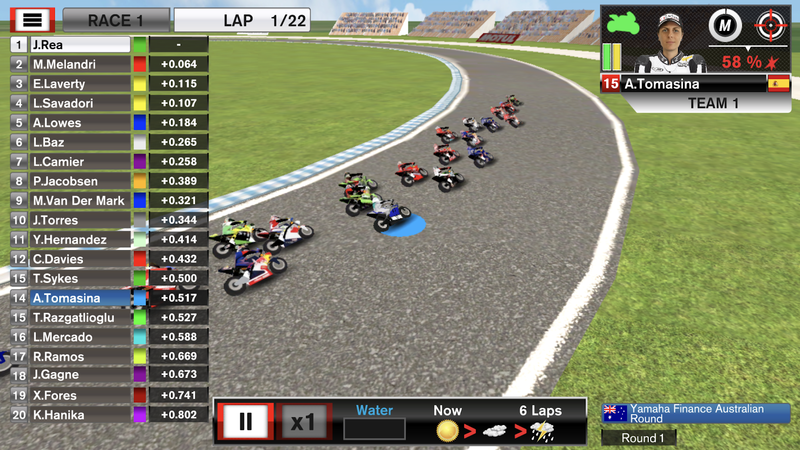 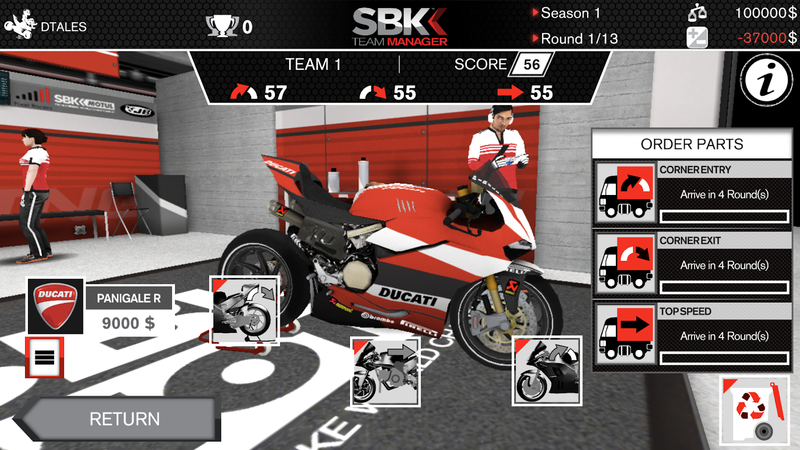 Digital Tales' SBK Team Manager is a World Superbike management sim. 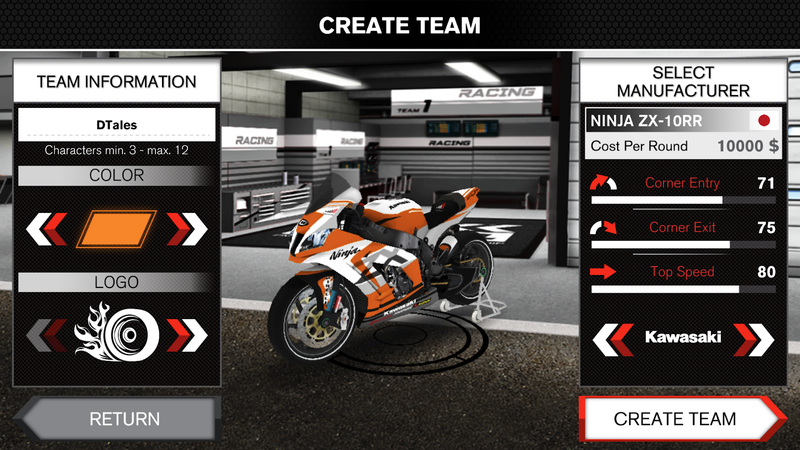 You can select and customize all of your favorite bikes so that you can build out an entire racing team. 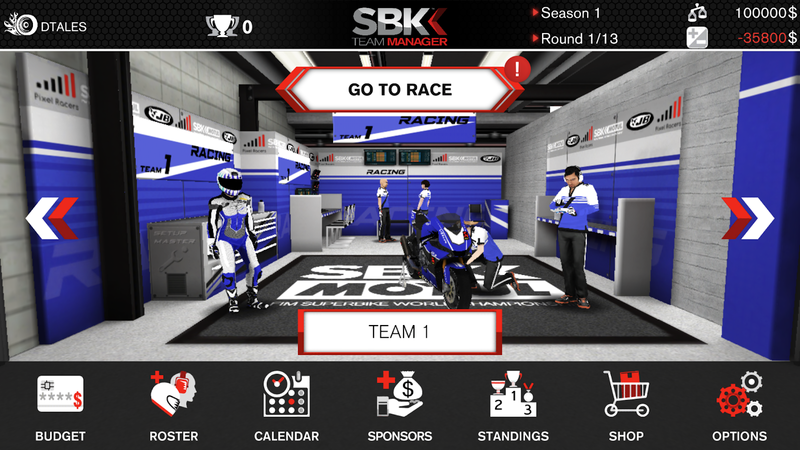 As you upgrade your bikes, garage, and hospitality area you will earn extra bonuses that will help you secure your spot as a superbike world champion. 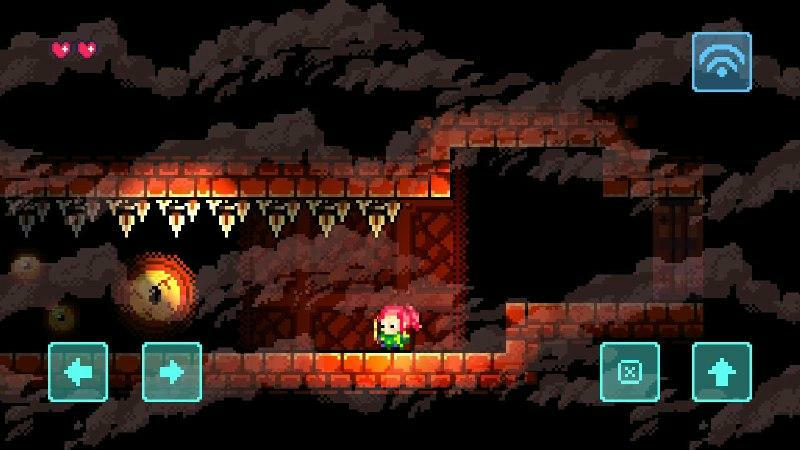 Into the Abyss is a fantastic randomly generated Metroidvania title for Android. 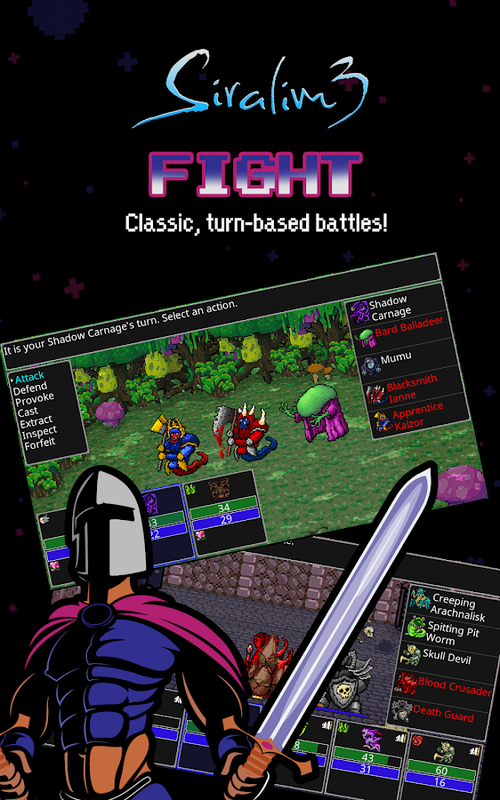 It originally started out as a free browser game, but it has been remade with all-new pixel-based graphics that really allow the title to shine. 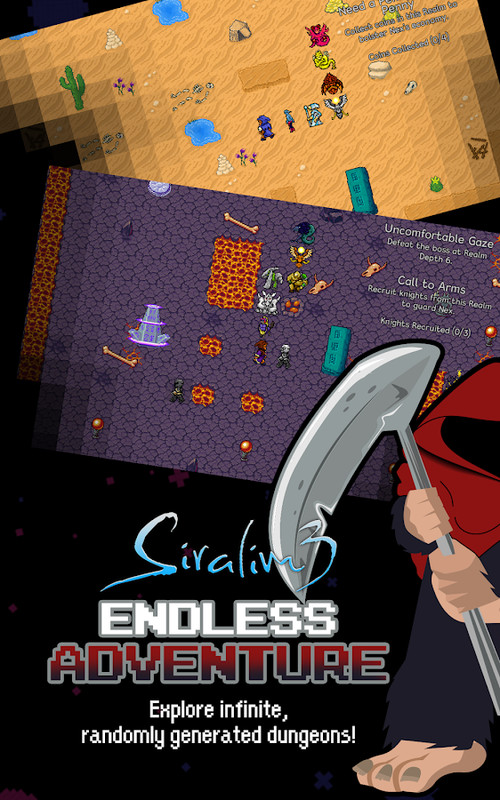 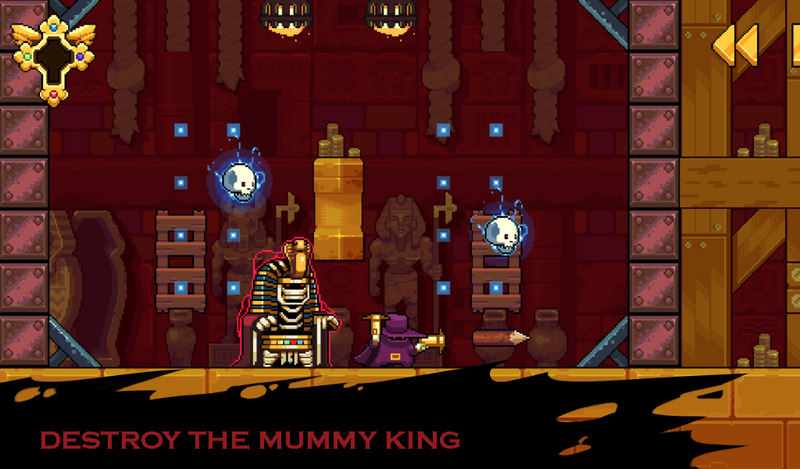 If you are a fan of games like Dead Cells, then you are going to want to give this release a try. 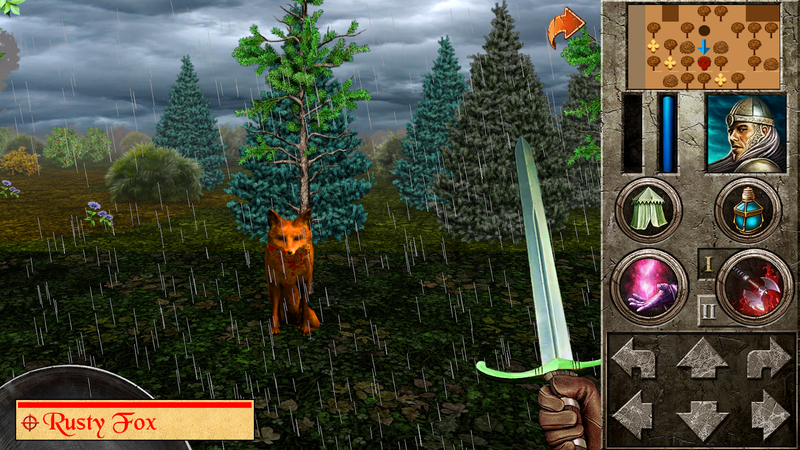 The Quest - Caerworn Castle is the latest standalone expansion for 'The Quest' series of RPGs. 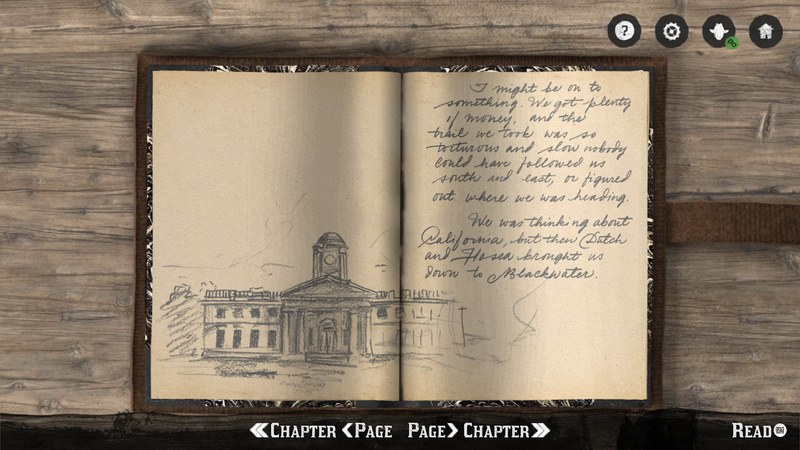 You can expect a new story to work your way through as you explore a spooky castle that is in desperate need of repair. 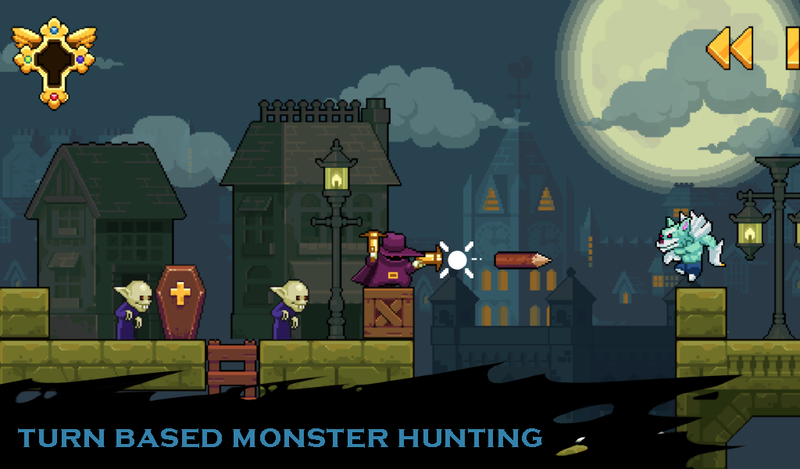 Will you dare to enter this haunted landscape to save the castle? 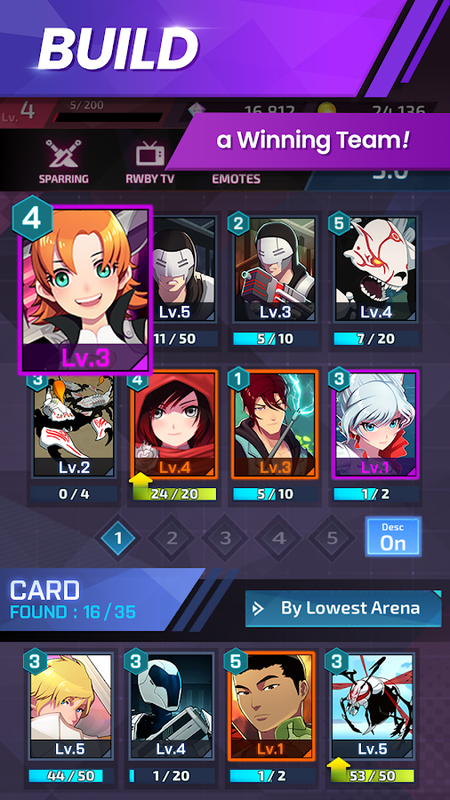 Oh, and if you have a saved character from a previous game that you would like to continue using, it's recommended that you reach at least level 60 before you jump into this expansion. 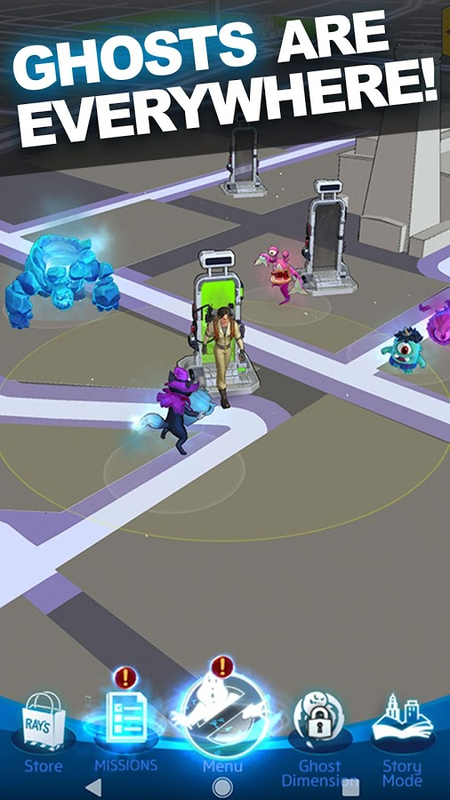 New players can begin their adventure without having to worry about this. 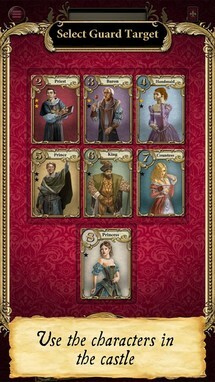 Asmodee Digital is a developer that consistently releases innovative digital adaptations of popular board games. 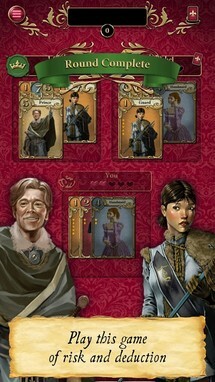 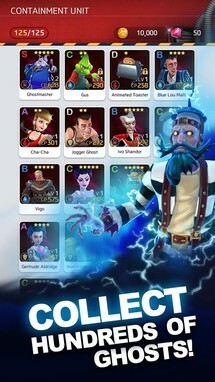 Its latest release is called Love Letter, and it is a strategy card game. It supports 1-4 players, and the goal is to be the first to deliver a love letter to a princess. 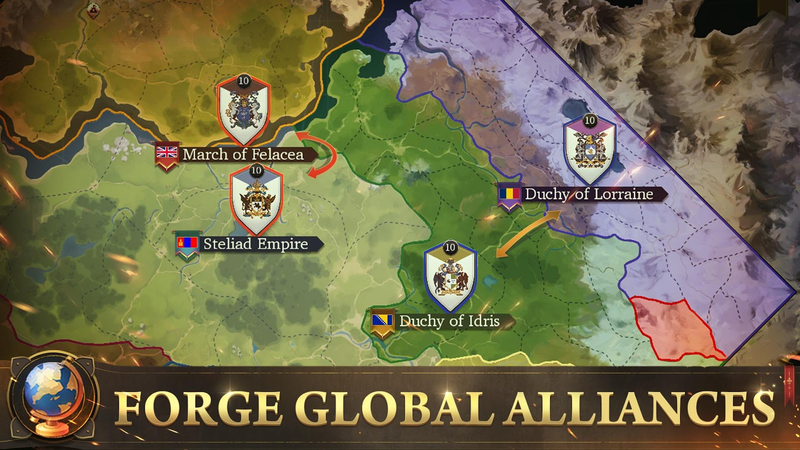 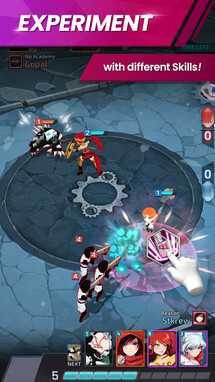 You can play in the single player mode against the computer, or with a group of friends locally or online. 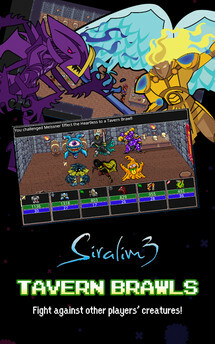 Siralim 3 is a new collection-based RPG from Thylacine Studios. 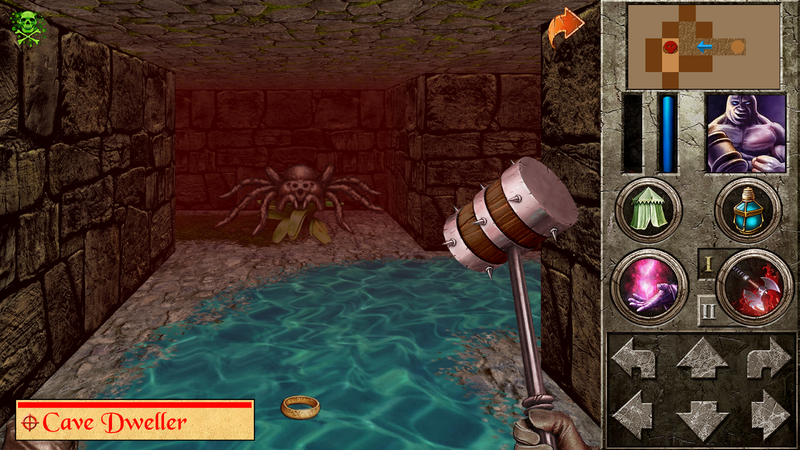 There are over 700 creatures to breed and fight, and there's plenty to explore thanks to the randomly generated dungeons. 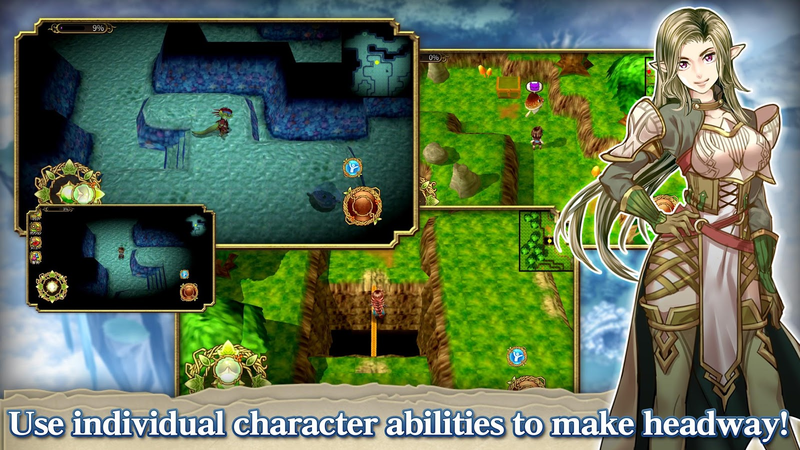 This means the amount of replayability is almost endless, so you can easily spend over 100 hours in the title. If you're looking for a new collection game to really sink your teeth into, Siralim 3 is a great choice. 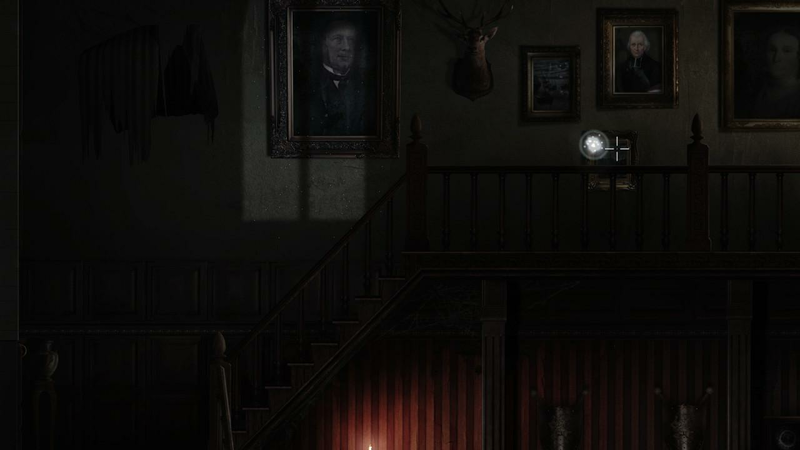 Goetia is a point and click adventure game that's perfect for Halloween. 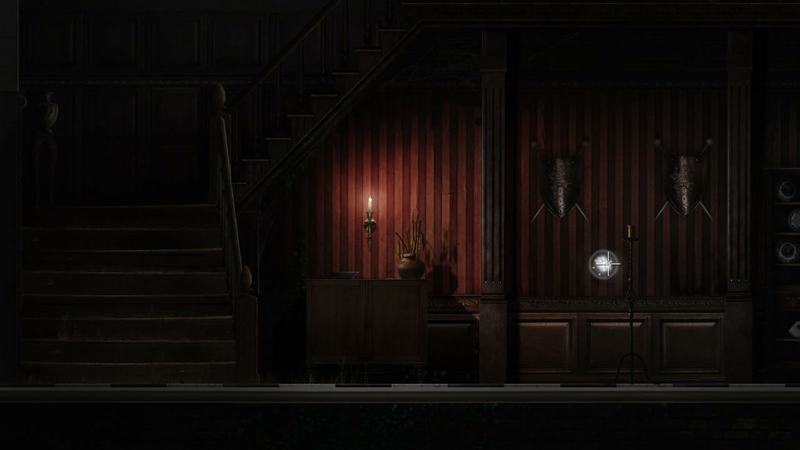 You play the part of Abigail Blackwood, a ghost of a young lady who has risen after forty years to try and uncover what happened to her and her home. 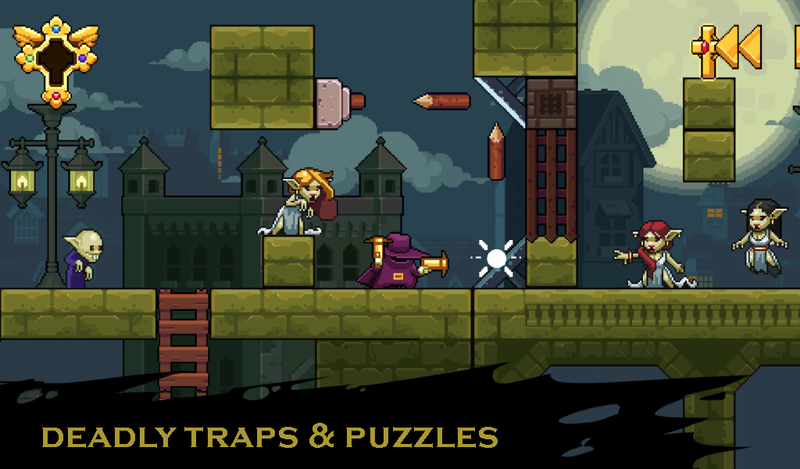 There are over ninety rooms to explore, and plenty of puzzles to solve. 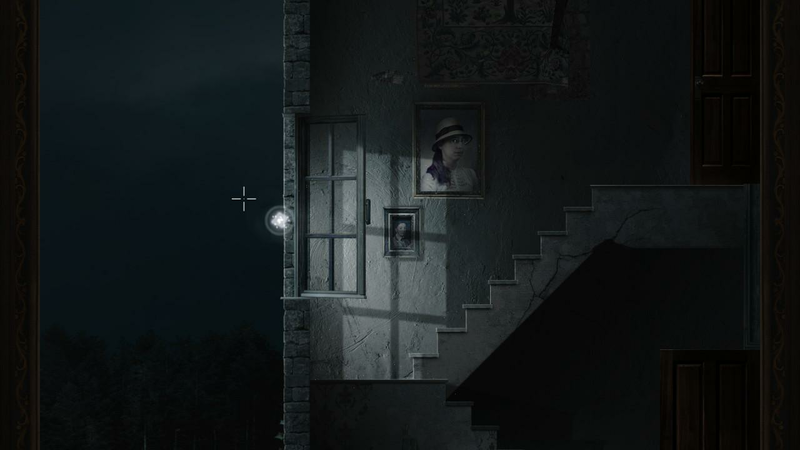 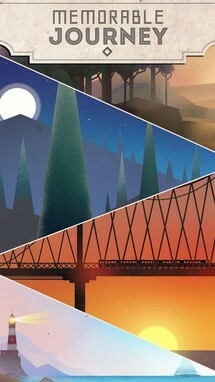 If you dig adventure games with spooky stories and fantastic artwork, this is the game for you. 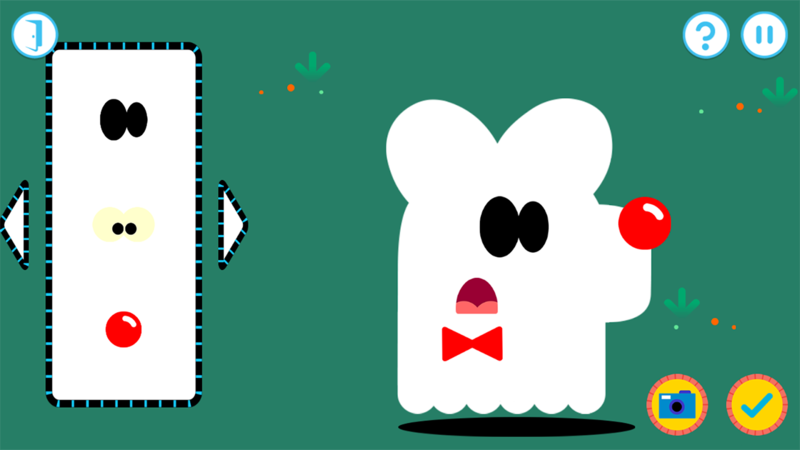 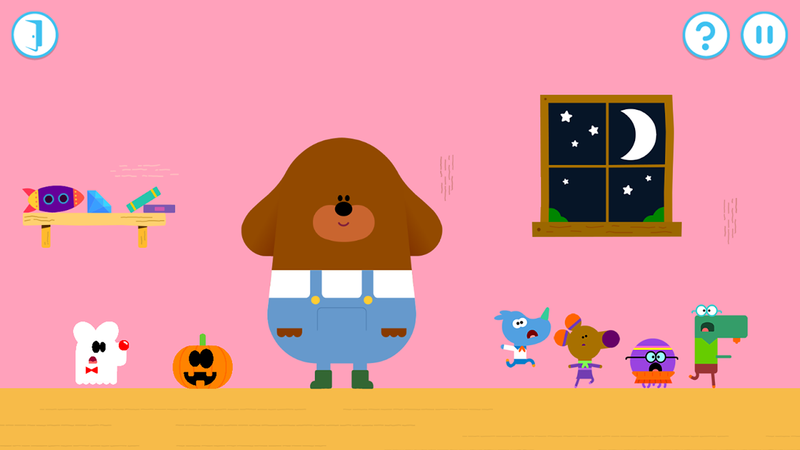 BBC Worldwide already has more than a few Hey Duggee children's games on the Play Store. 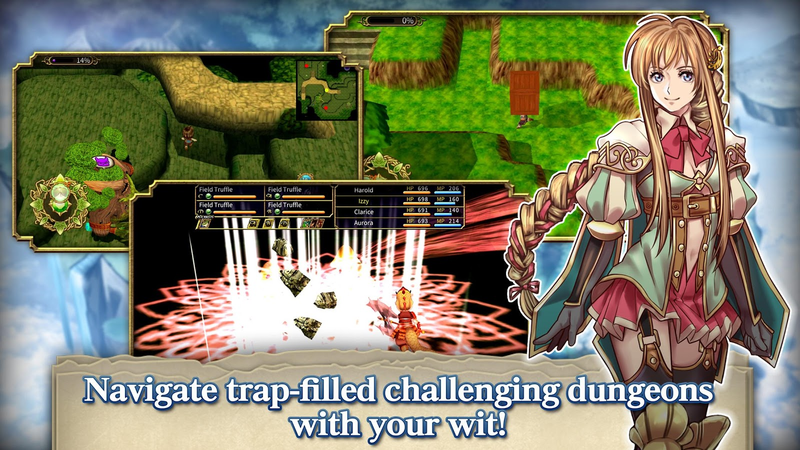 Usually, these titles have an upfront price attached, but this particular release is actually offered for free. 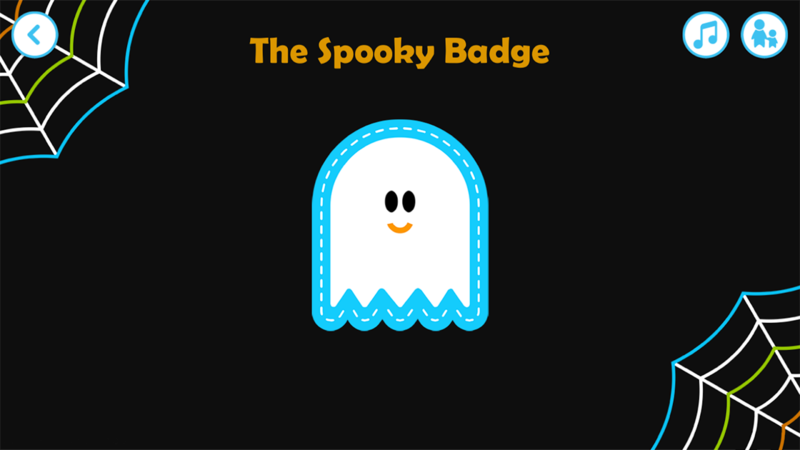 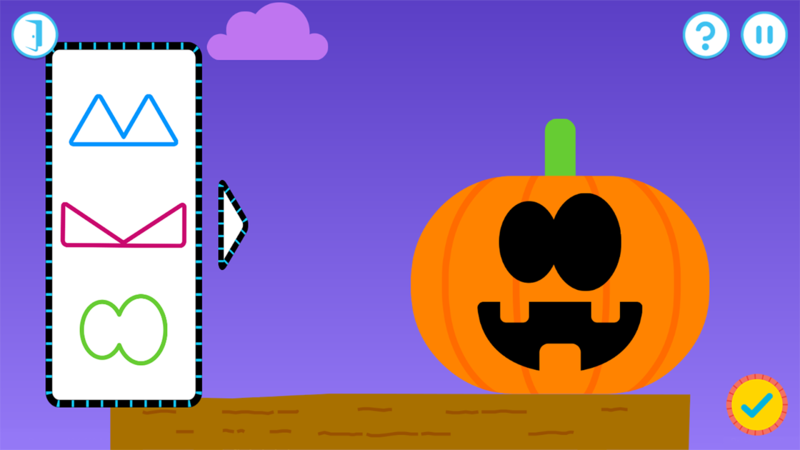 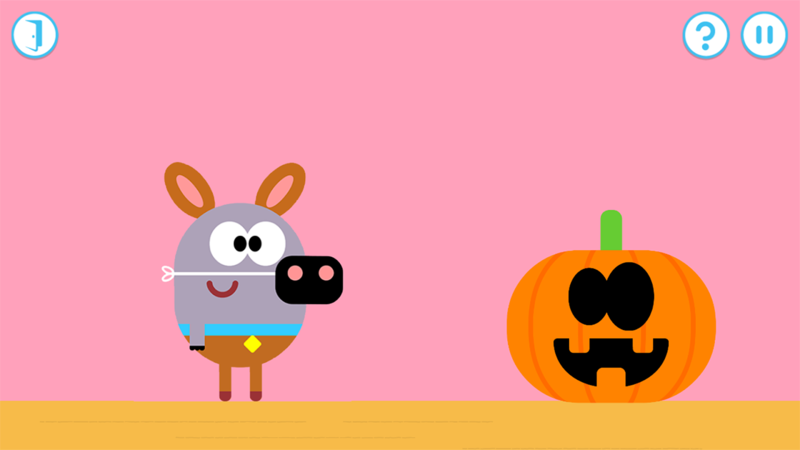 So if you are looking for a kid-friendly game for your child to play through that also contains an adorable Halloween theme, then look no further than Hey Duggee: The Spooky Badge. 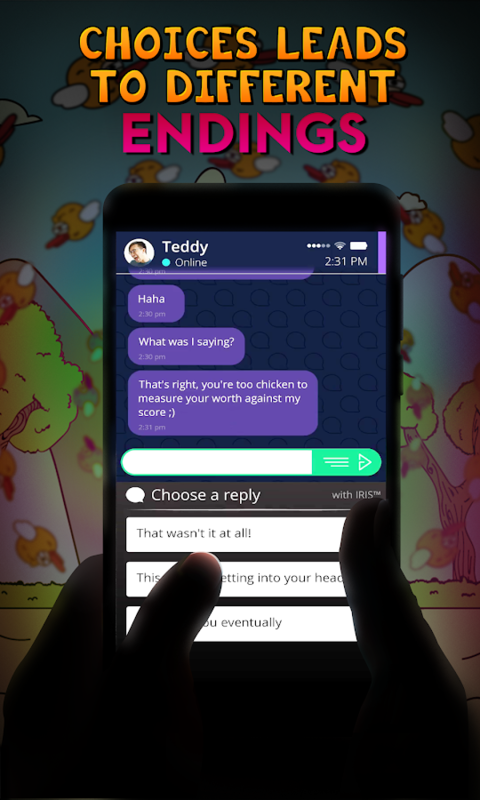 SIMULACRA: Pipe Dreams is a free-to-play spin-off of the critically acclaimed SIMULACRA indie horror adventure. 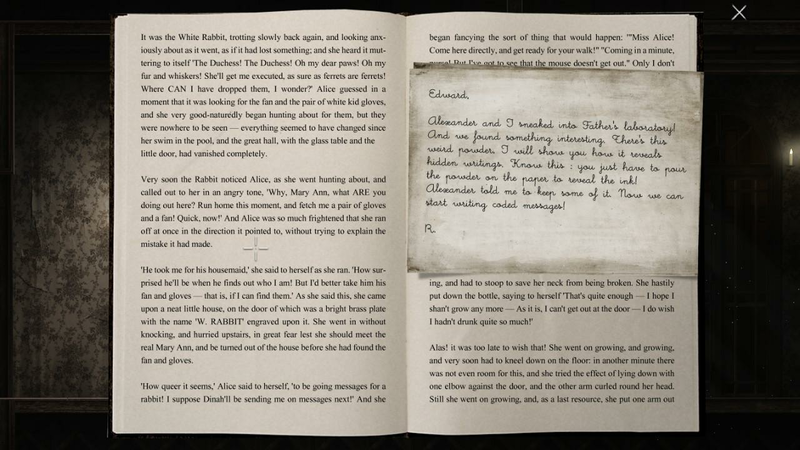 You can expect a brand new story, with a new interface, a live-action cast, plus plenty of new horrors to unravel. 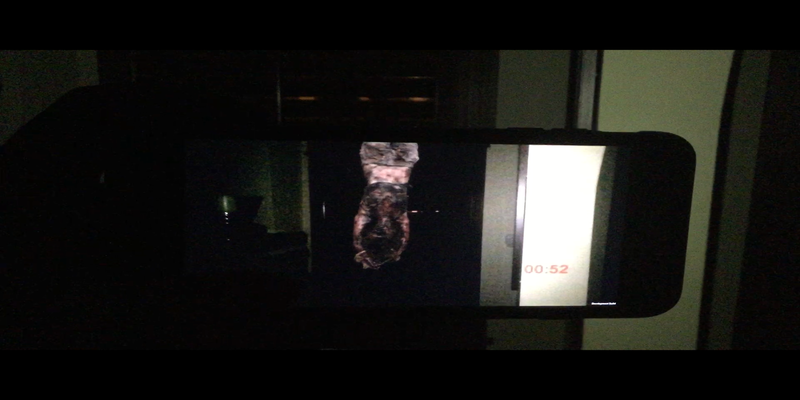 This release nevertheless employs a similar narrative horror experience that unfolds entirely on the screen of a simulated mobile phone, so if you enjoyed the original, you'd find a lot to like here too. 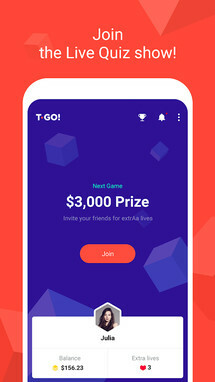 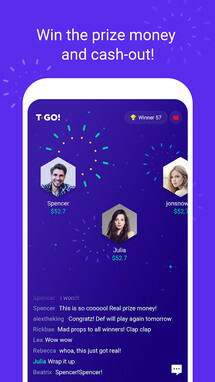 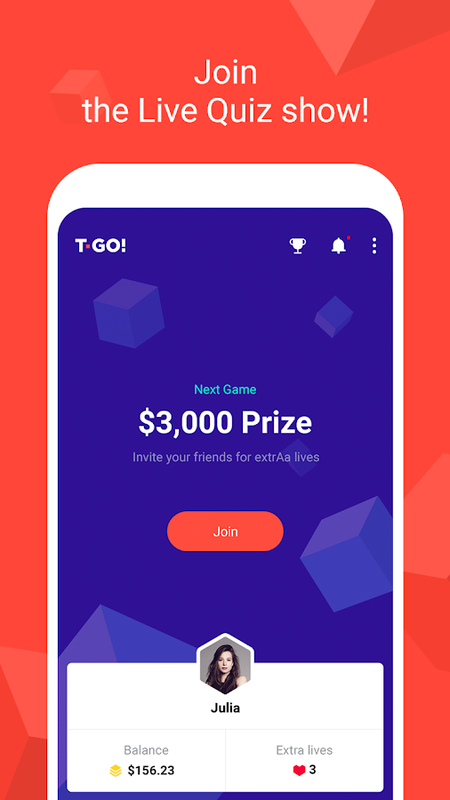 T-GO! 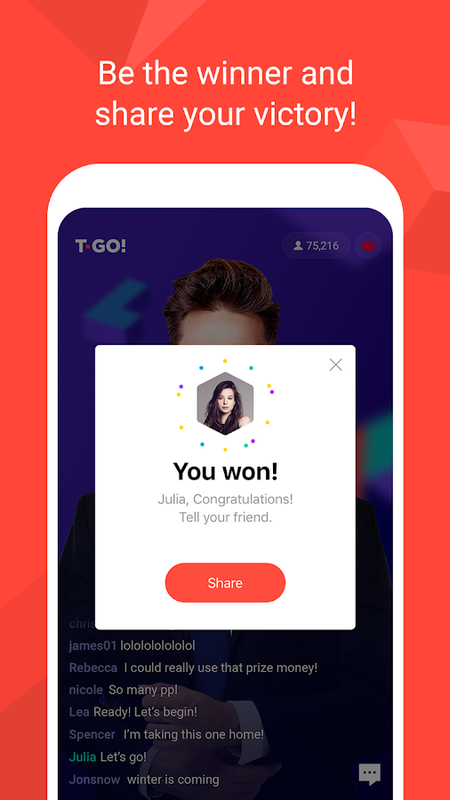 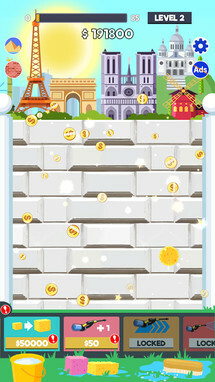 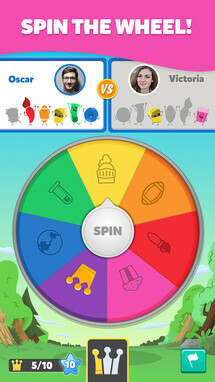 for MENA is the latest quiz game for Android to allow its players a chance to win actual cash prizes. 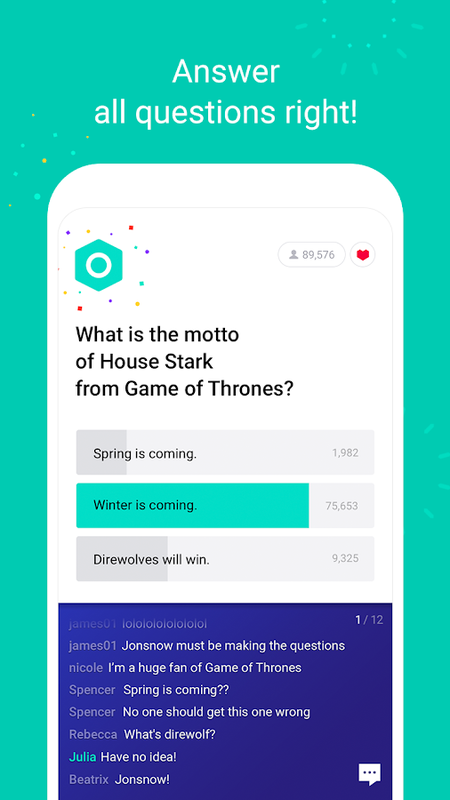 You'll have to correctly answer twelve questions in a row to win, and you'll only have ten seconds to come up with each answer. 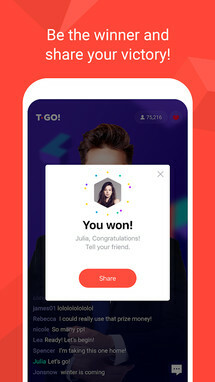 If no one wins the prize, then it will roll over into the next game. 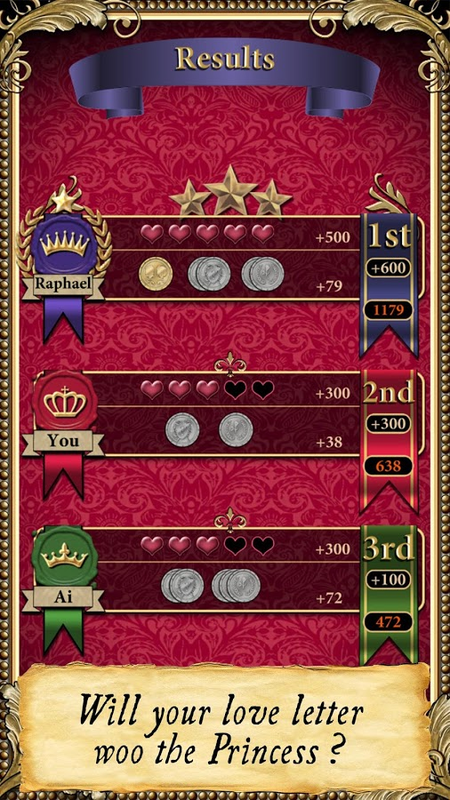 If multiple people win, then the prize will be split. 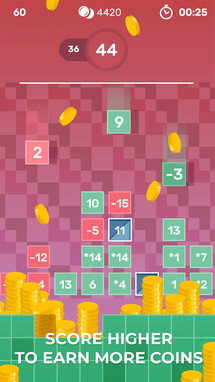 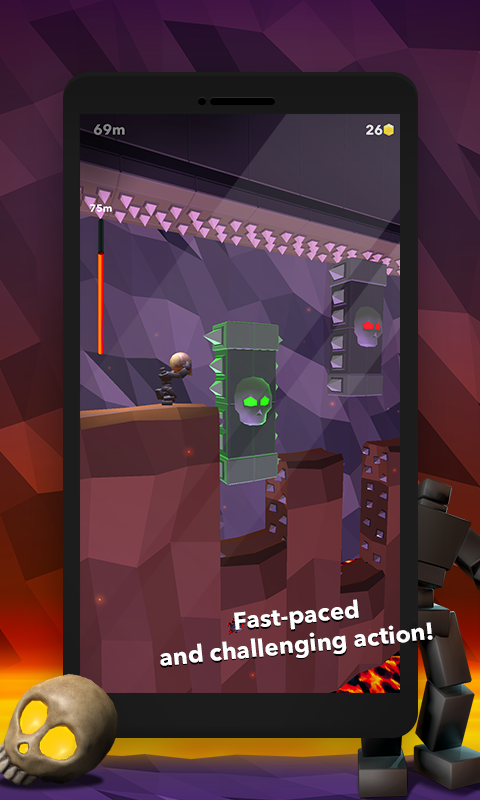 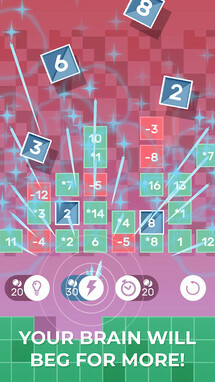 Let's Twist is a falling block game from ArmNomads. 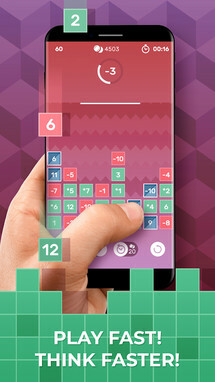 It plays a little like Tetris, but instead of controlling the falling blocks, you get to control the colored circles at the bottom of the screen. As each block falls, you'll have to arrange those circles in the correct order so that their colors match with the blocks falling from above. This takes quick reflexes, and the further you advance, the more challenging the task becomes. 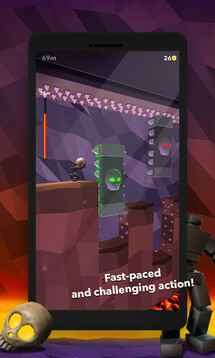 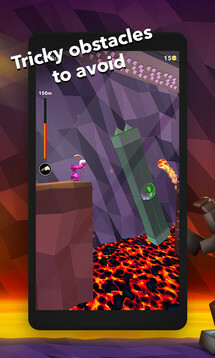 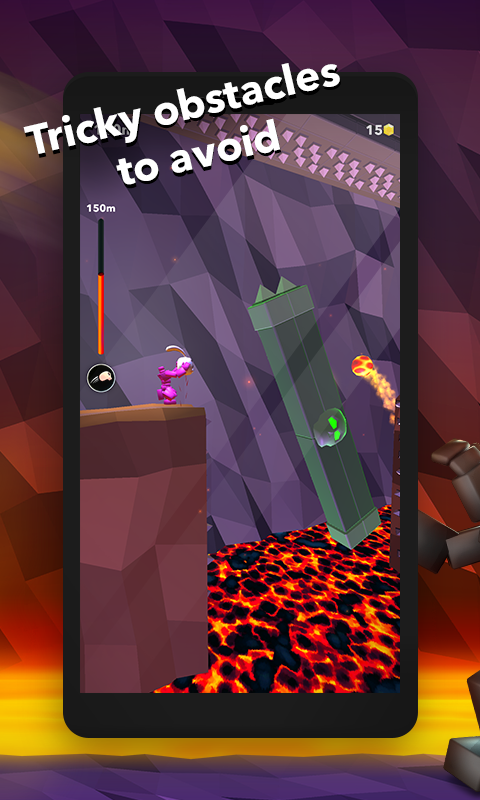 Lava Hero is a deviously challenging level-based auto-runner with an interesting control scheme. 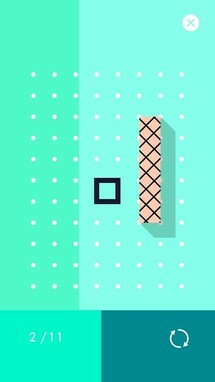 Instead of directing where the runner goes, you are tasked with interacting with the many obstacles in your way. 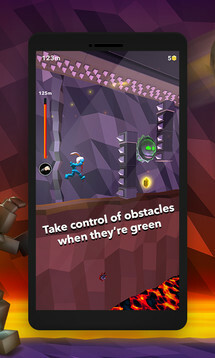 Really, all you have to do is time your taps on the many green-colored objects covered in spikes so that your runner can speed on by without getting hurt, but this proves to be more difficult than at first suspected. 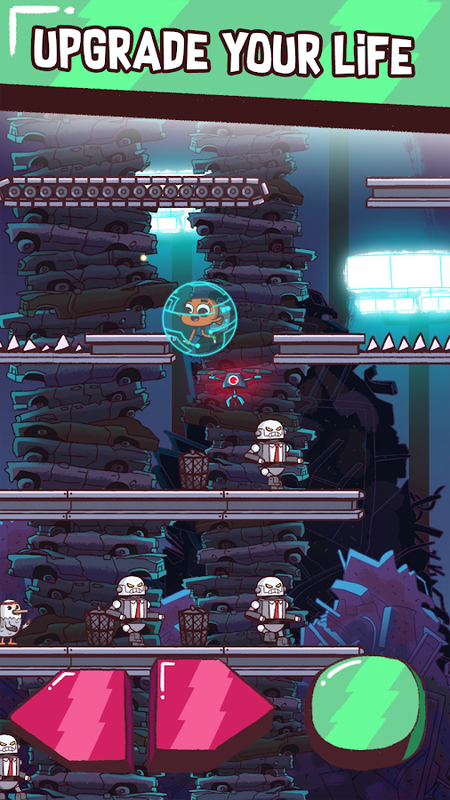 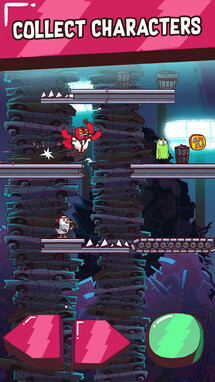 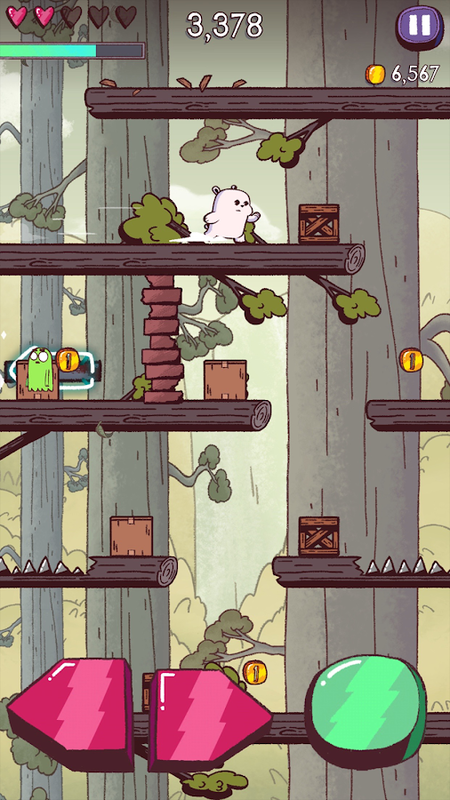 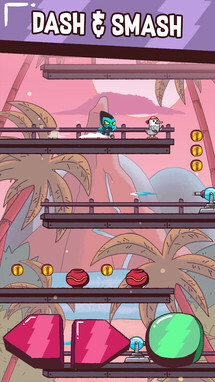 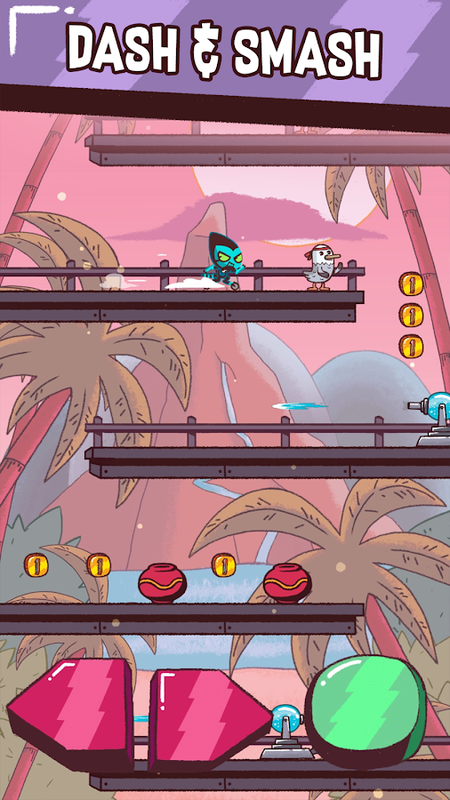 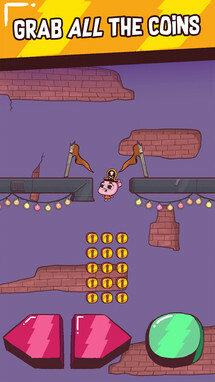 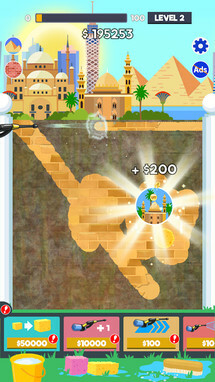 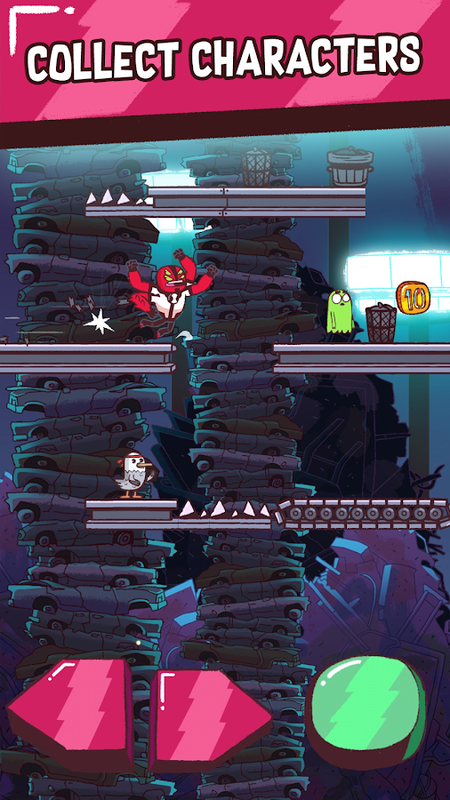 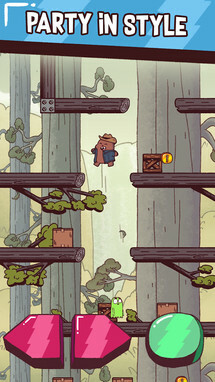 Cartoon Network Party Dash combines many of the network's properties into a straightforward running game. Your job is to direct your character to the bottom of each stage while avoiding obstacles and collecting in-game currency. 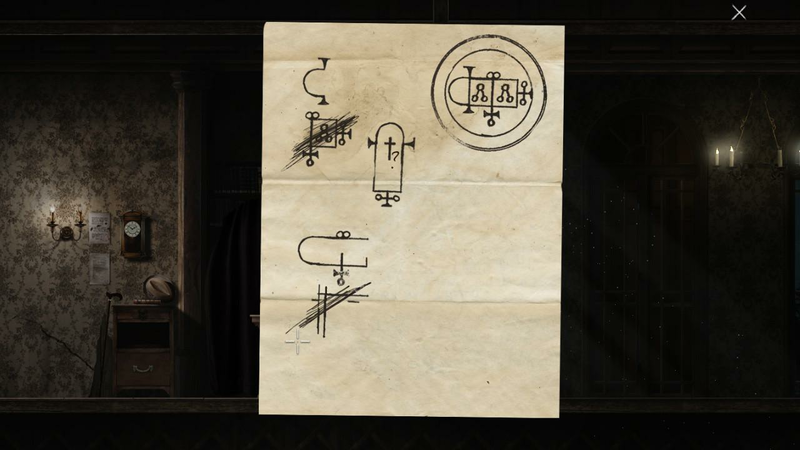 This currency can then be used to customize your character. 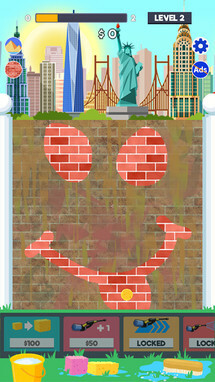 Wall Clean is a very casual game that's all about cleaning walls. 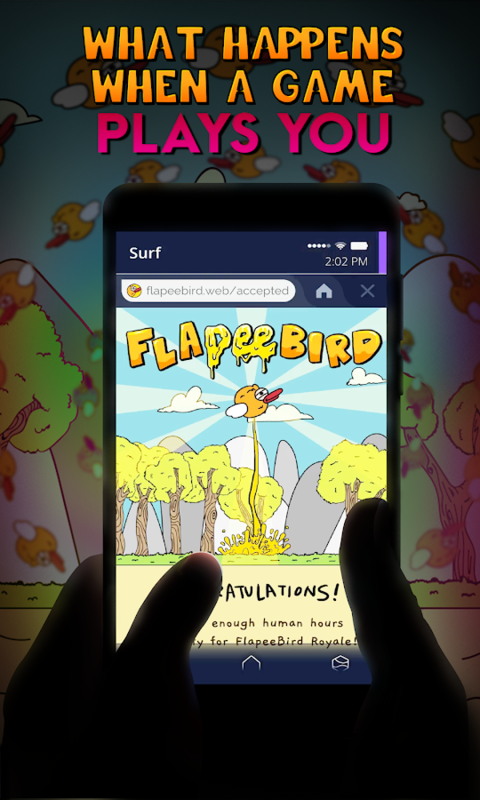 It works a lot like an incremental clicking game, but instead of clicking, you're going to have to swipe your finger repeatedly on the screen. 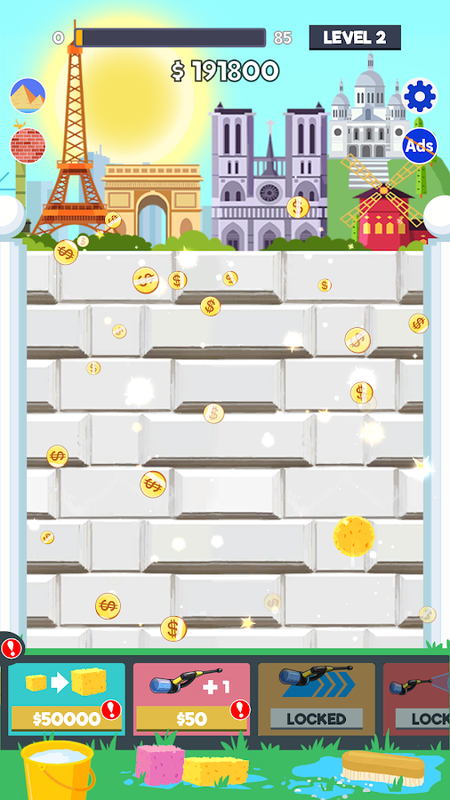 As you clean, you'll earn in-game currency that can be used to purchase tools to help you clean those walls even faster. 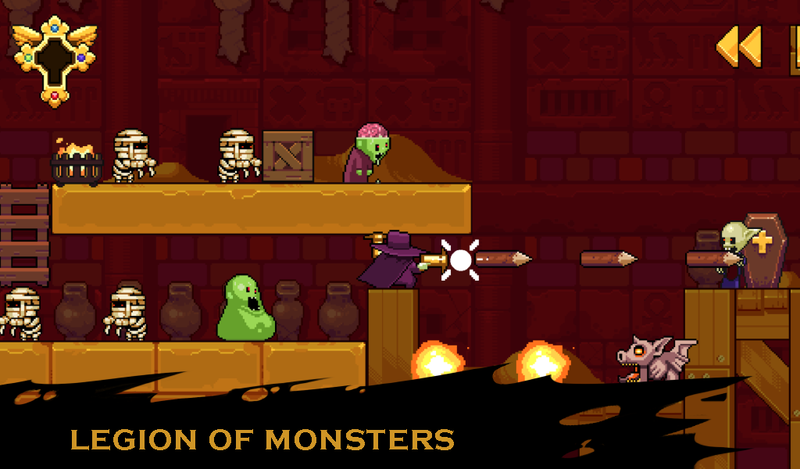 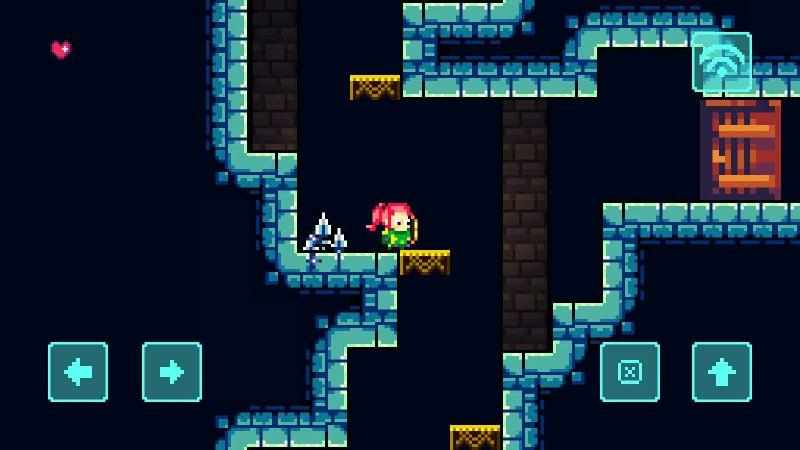 Turn Undead 2: Monster Hunter is the latest release from Nitrome, one of my favorite developers on the Play Store. 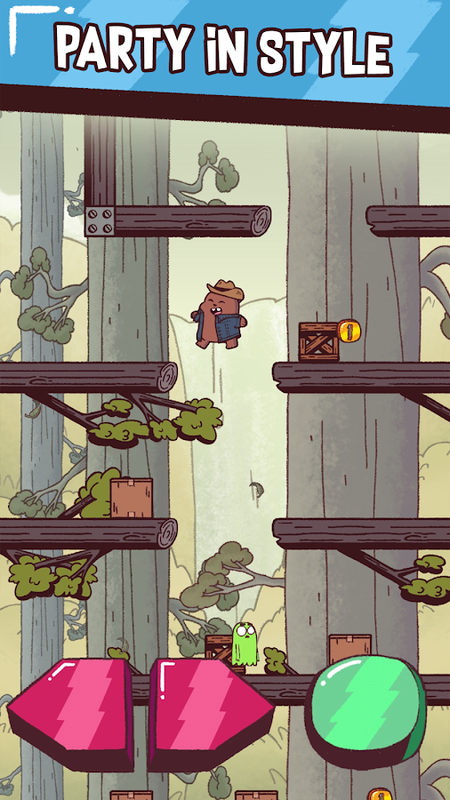 The company consistently creates beautiful pixel-based platformers, and this release does not disappoint in that regard. 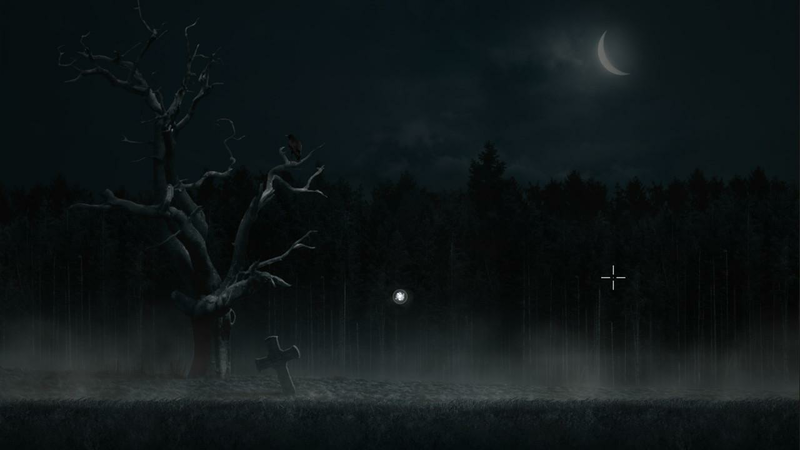 Not only is this a great title to play during the buildup to Halloween, thanks to it spooky atmosphere, but it also controls great and contains plenty of challenging puzzles that need solving. 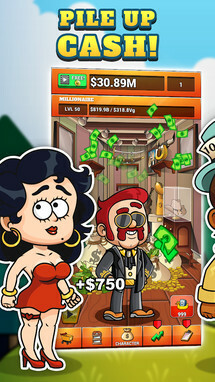 Infinity Games is one of those studios that somehow manages to come up with quality puzzle games one after another, and these titles are always priced reasonably. 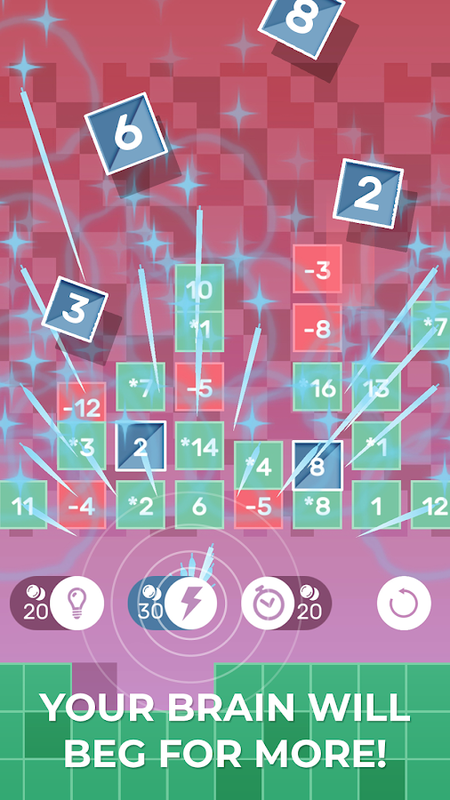 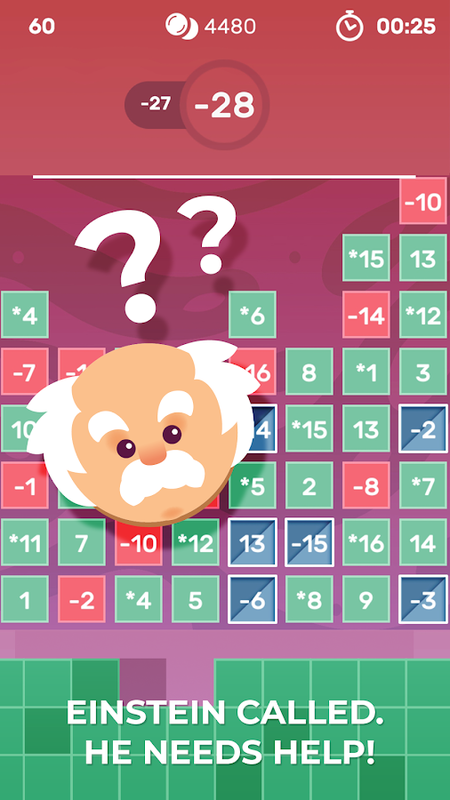 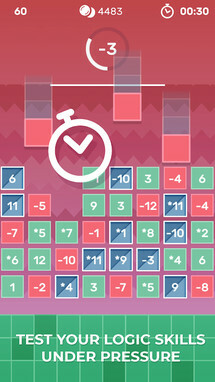 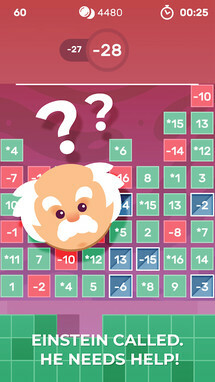 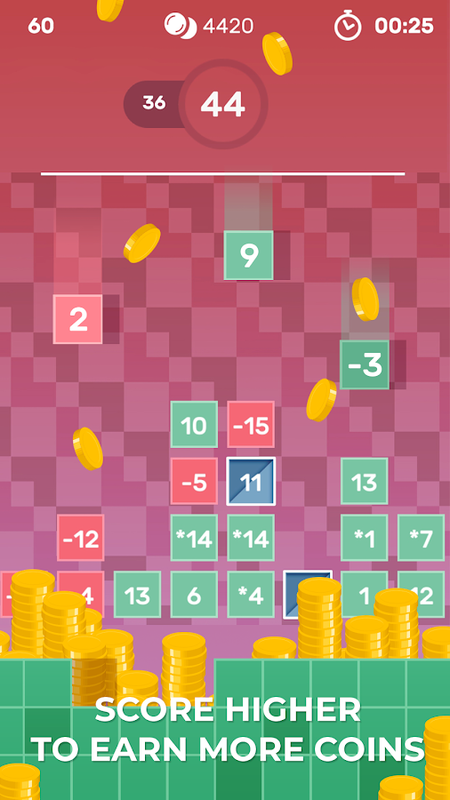 BRAIN FEVER: Logic Challenge is the latest release from the company, and you'll need solid math skills to work your way through the brain-teasing gameplay. 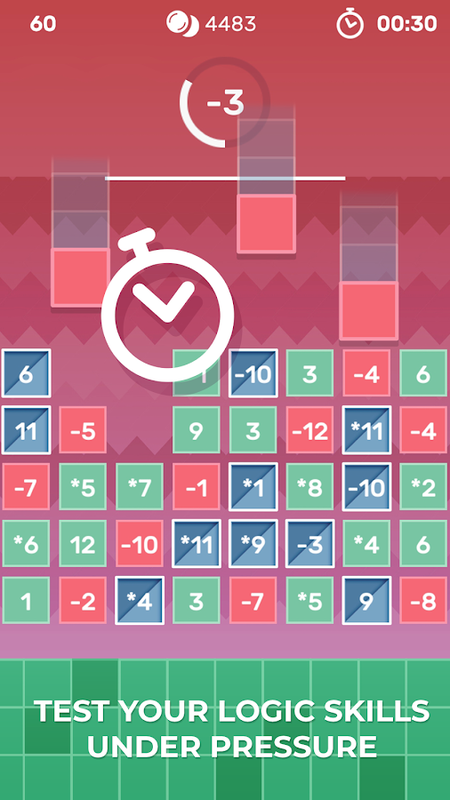 The goal is to transform as many of the numbers on the board into the number displayed at the top of the screen, and you better believe a clock is counting down while you furiously add, subtract, and multiply your way to success. 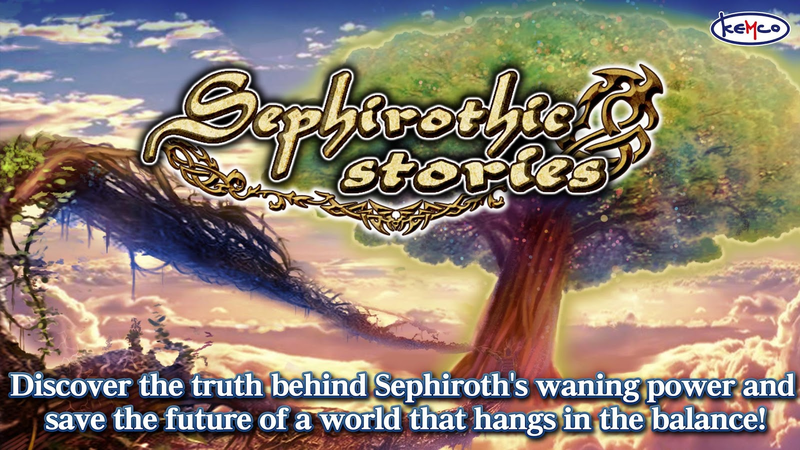 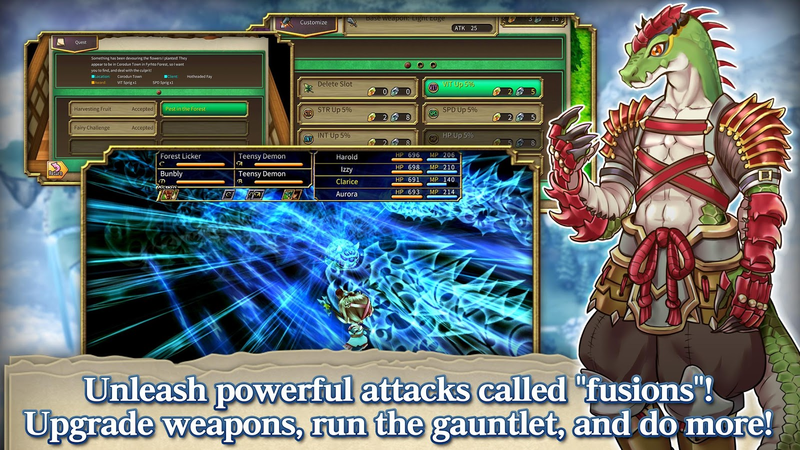 RPG Sephirothic Stories is the latest RPG from KEMCO to receive an English translation. 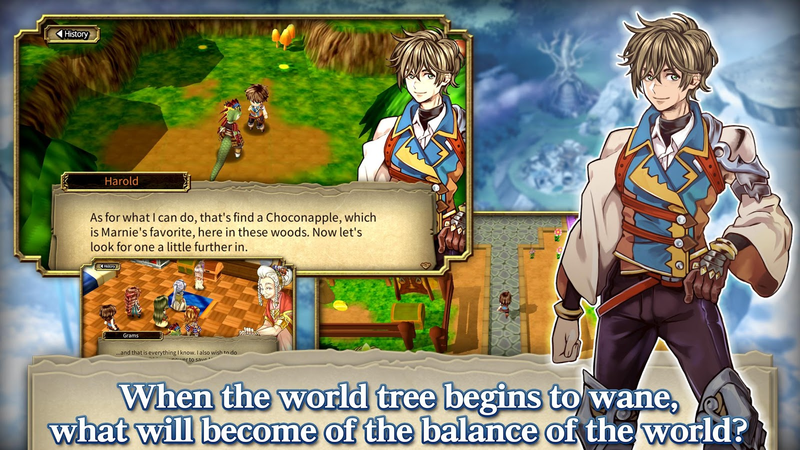 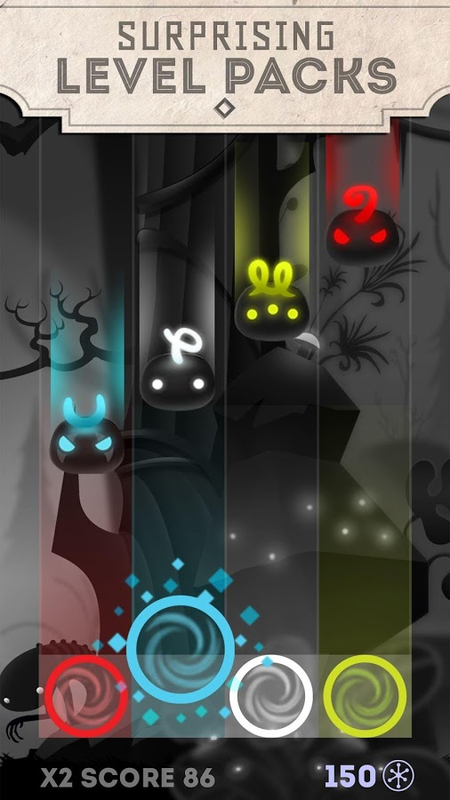 The graphics resemble that of a PS1-era game, and the story revolves around a magical tree that is starting to wane in power, causing strife across the fictional world. 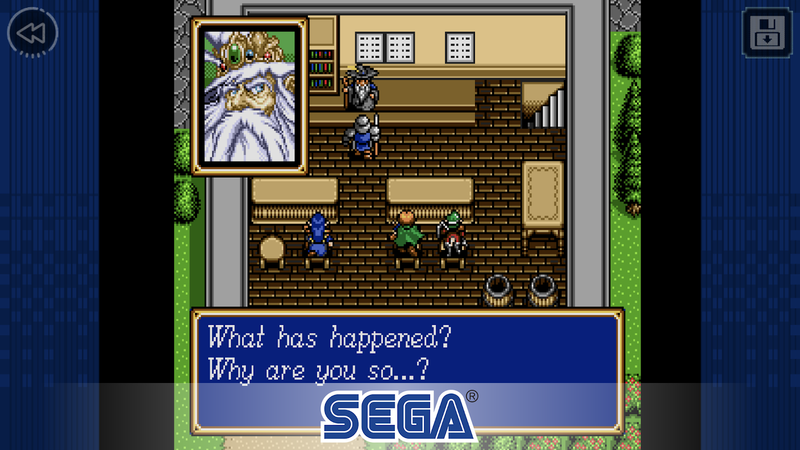 So even though it doesn't contain the most original story, I'm sure plenty of old-school RPG fans will get a kick out of the familiar tropes. 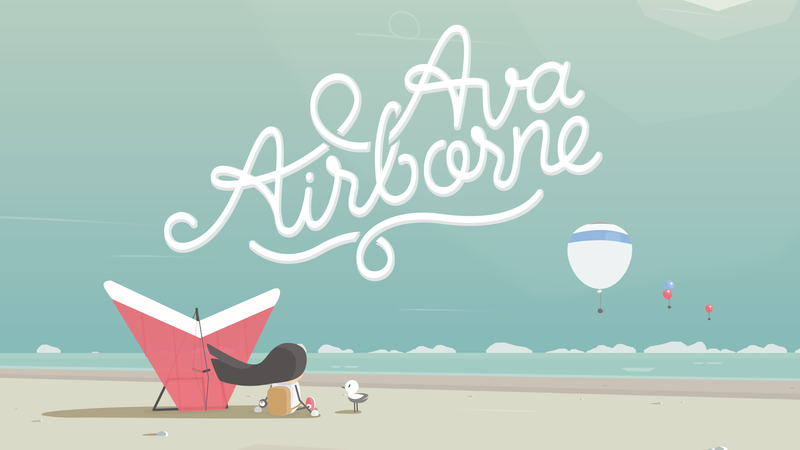 Ava Airborne is a beautifully stylish auto-runner. 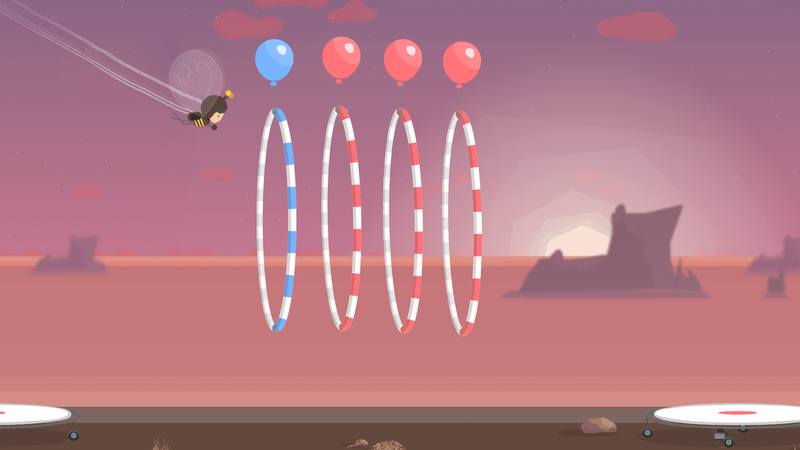 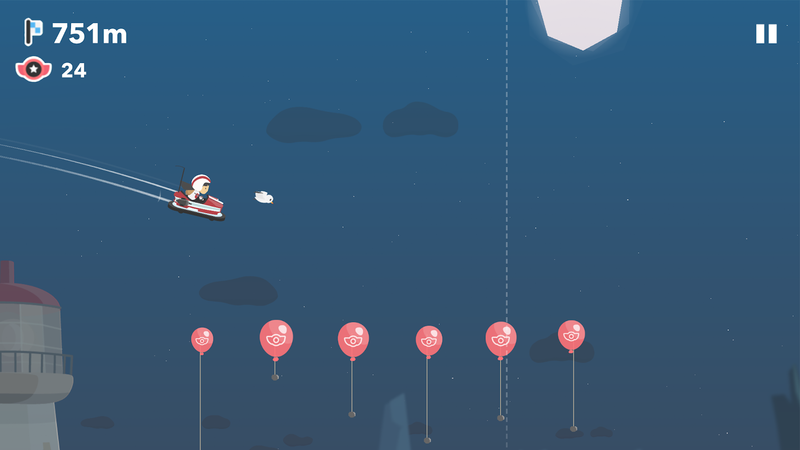 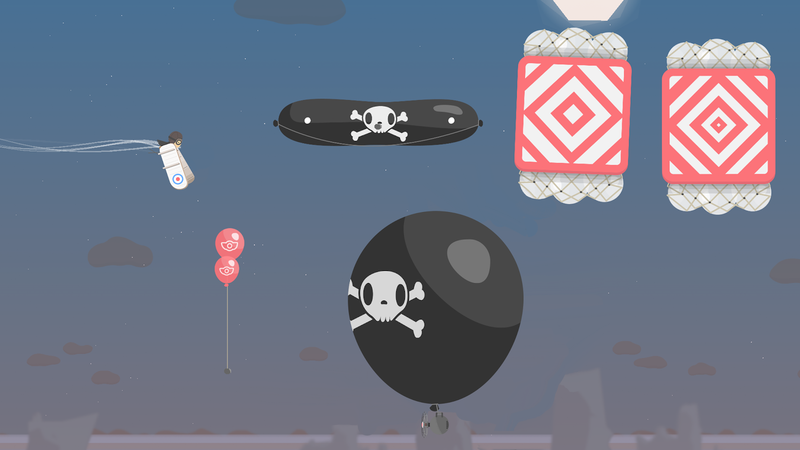 Your goal is to fly as far as possible, and you can take advantage of certain objects like hot air balloons to help you reach even further. 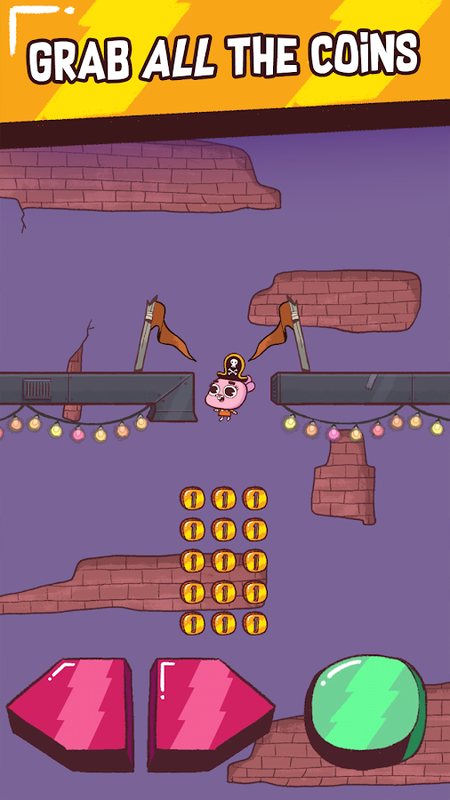 If you touch the ground, it's game over. 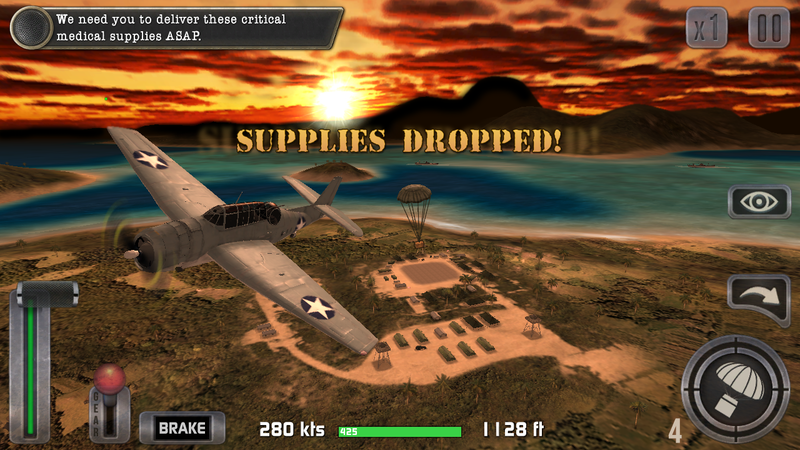 Luckily there's plenty of different aircraft at your disposal to help you fly as far as you can. 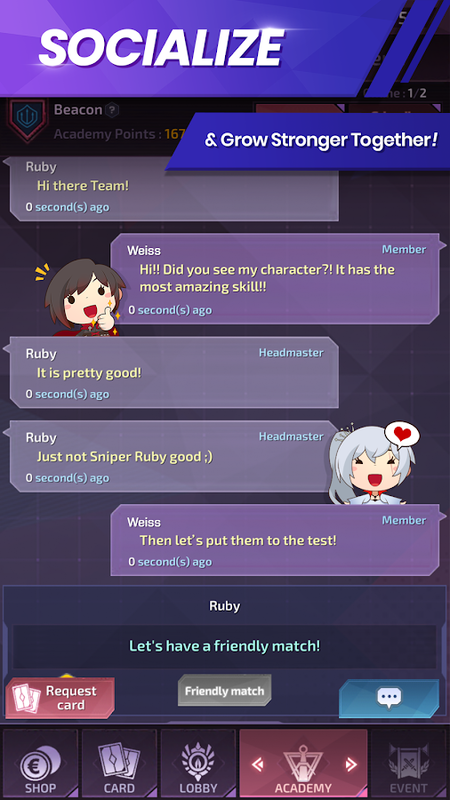 RWBY: Amity Arena was inspired by a board game, and supposedly it's the first "scroll game" of its kind, whatever that means. 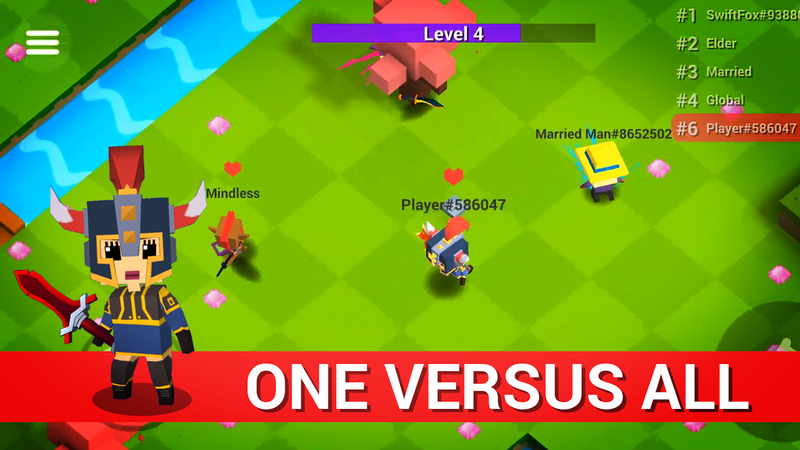 Really, the gameplay resembles that of Clash Royale, so if you are into multiplayer arena games, this release should fit the bill nicely. 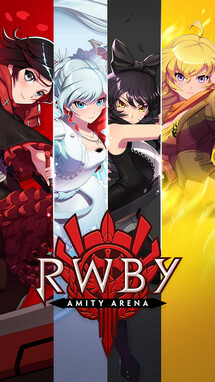 There are dozens of collectible cards that feature all of your favorite characters from the RWBY universe, and I have to say the graphics should please just about any fan of the series. 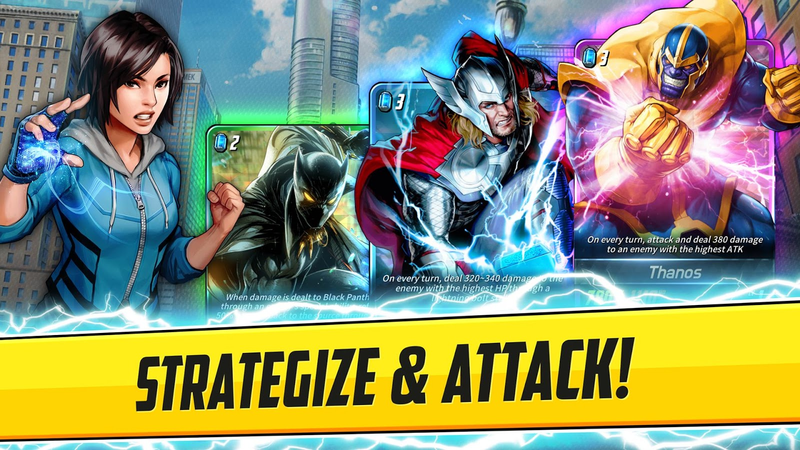 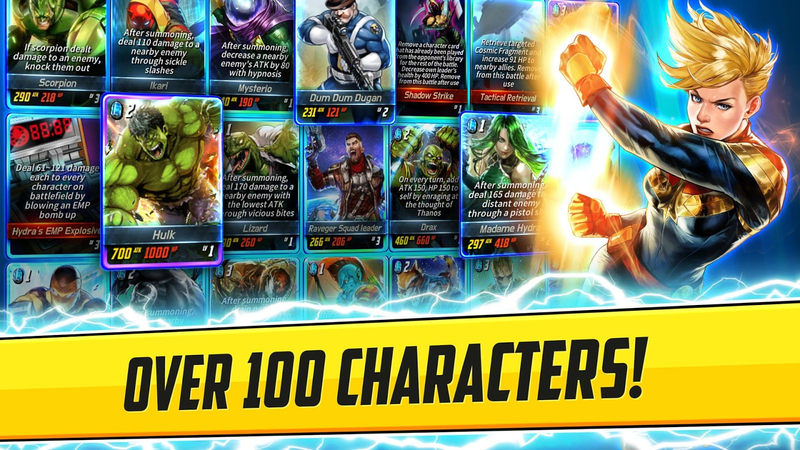 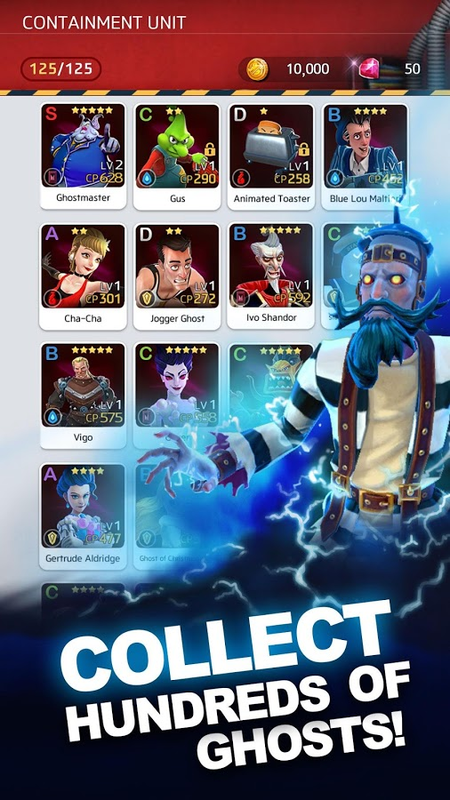 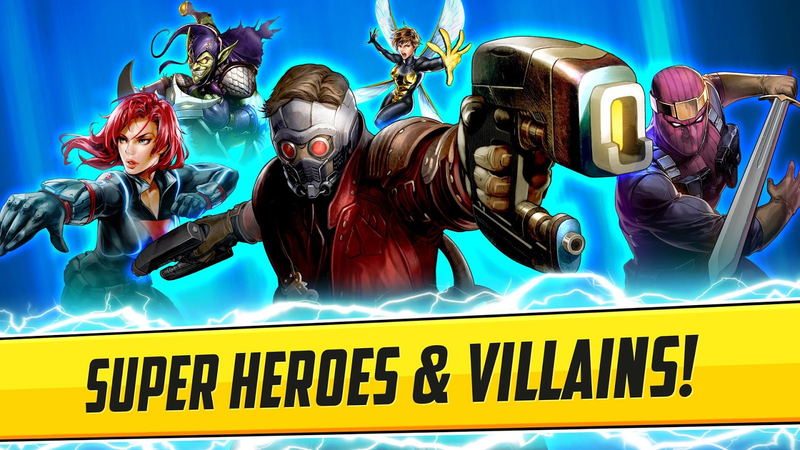 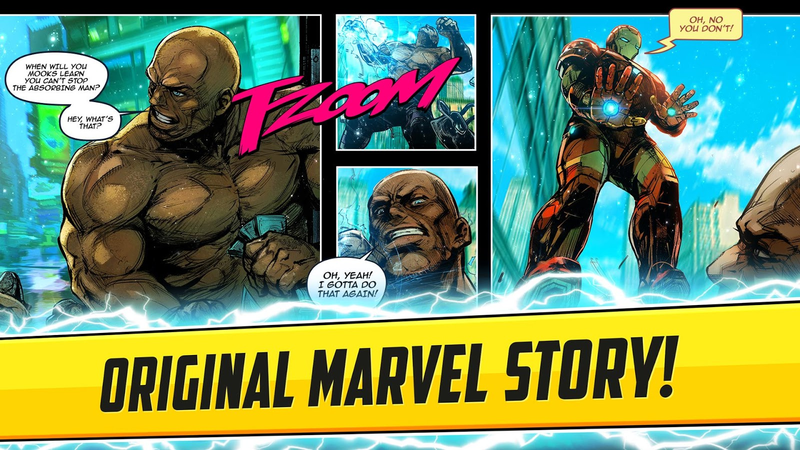 Somehow NEXON managed to secure a Marvel license to create a collectible card game. 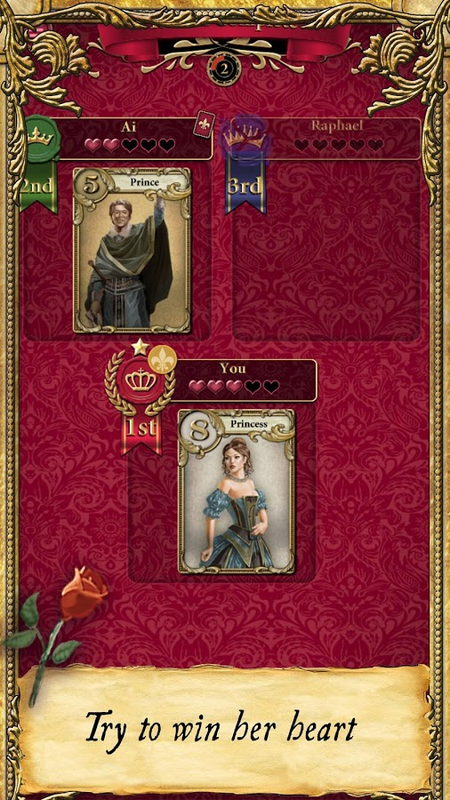 The result isn't very surprising. 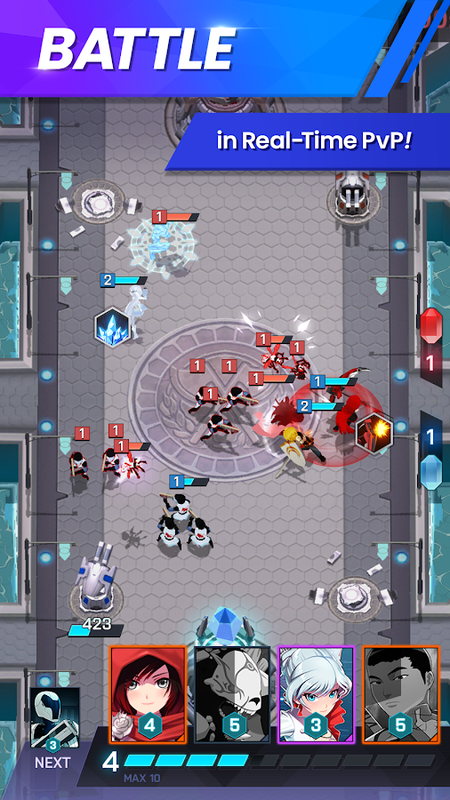 The gameplay is very casual, and your deck can only hold eight cards at a time. 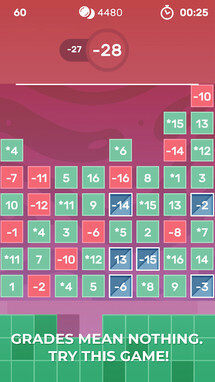 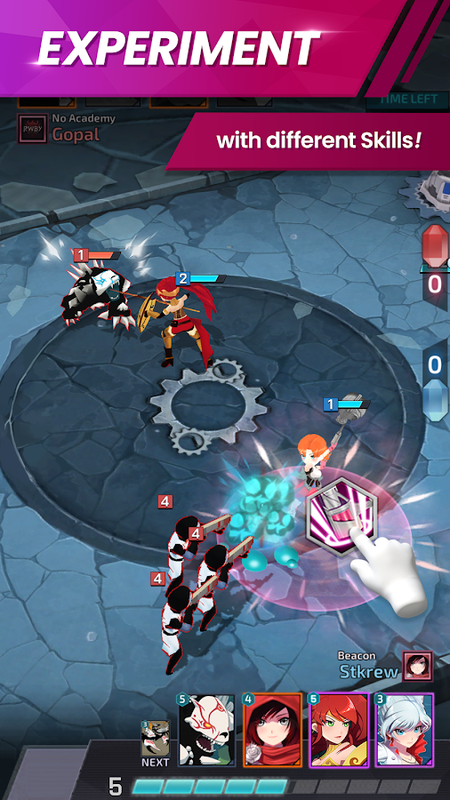 Battles are usually short, and whoever stacks their deck with the most direct damage cards will have the upper hand. 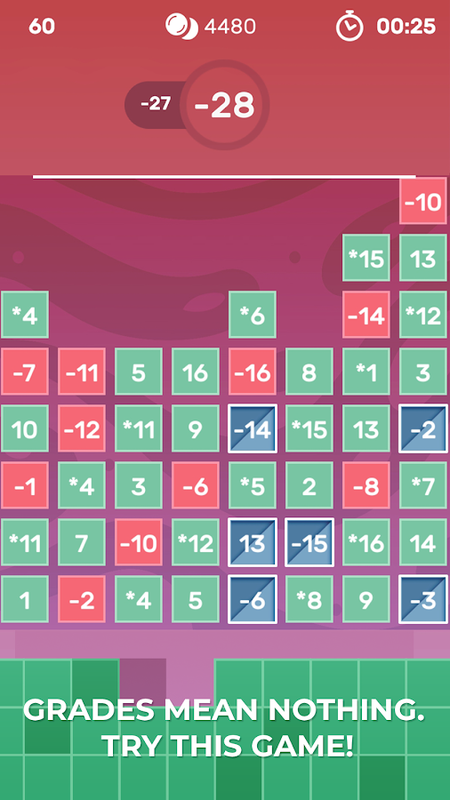 It's basically tic-tac-toe in card form, which can be fun, but gets old pretty quick. 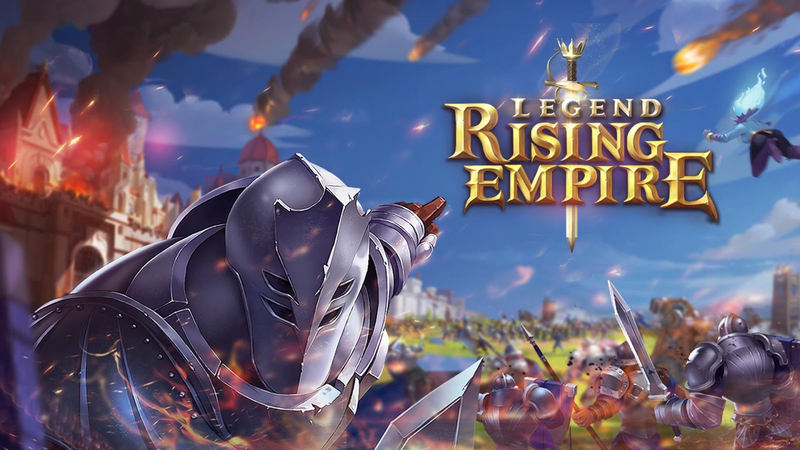 Legend: Rising Empire is NetEase's latest release, and it's billed as "the first mobile game to "combine strategy elements with city-building simulation," which I find highly preposterous. 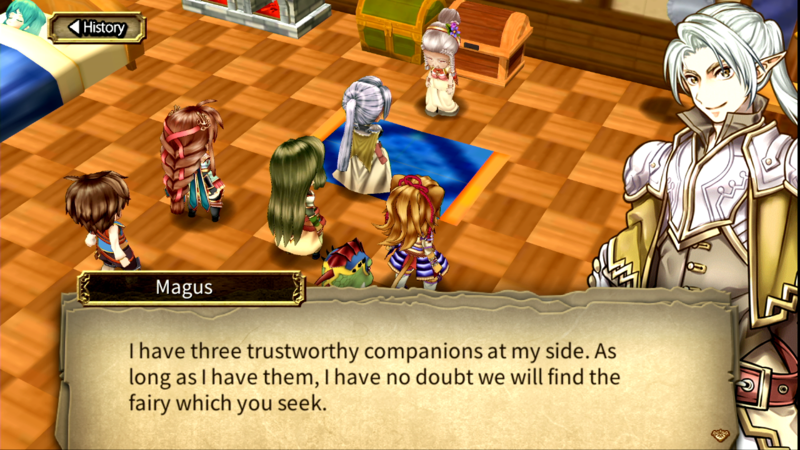 Honestly, who in the heck is fooled by such a ridiculous statement? 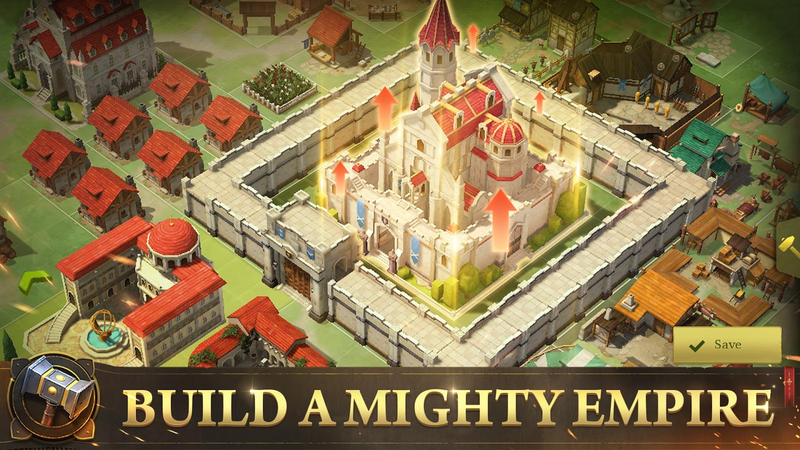 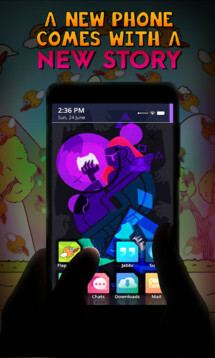 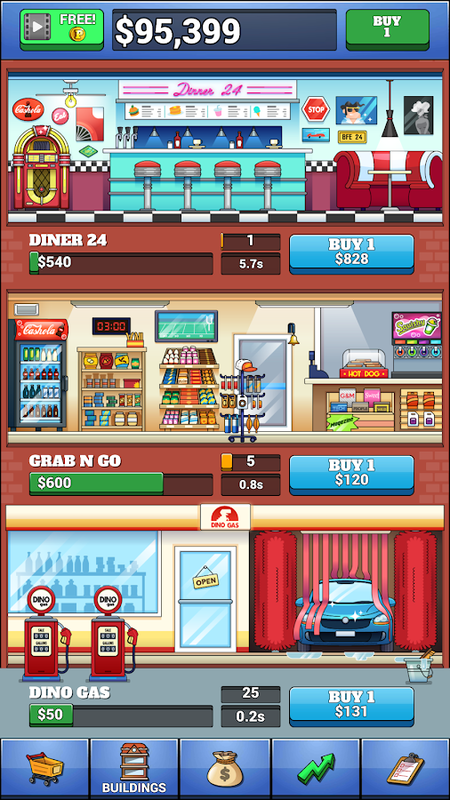 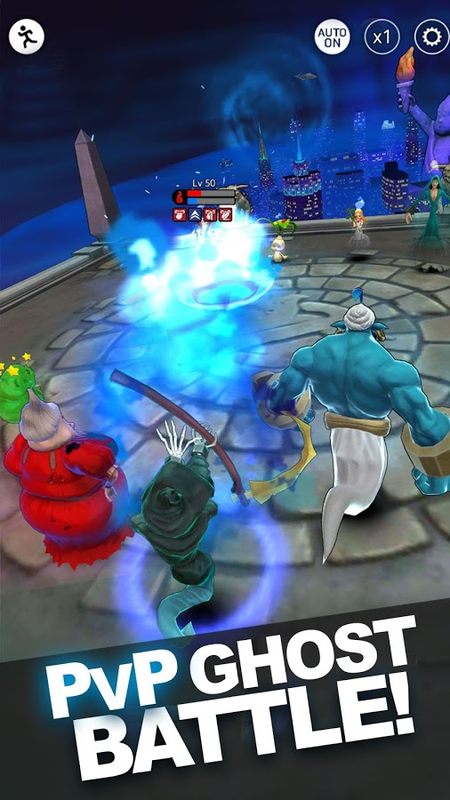 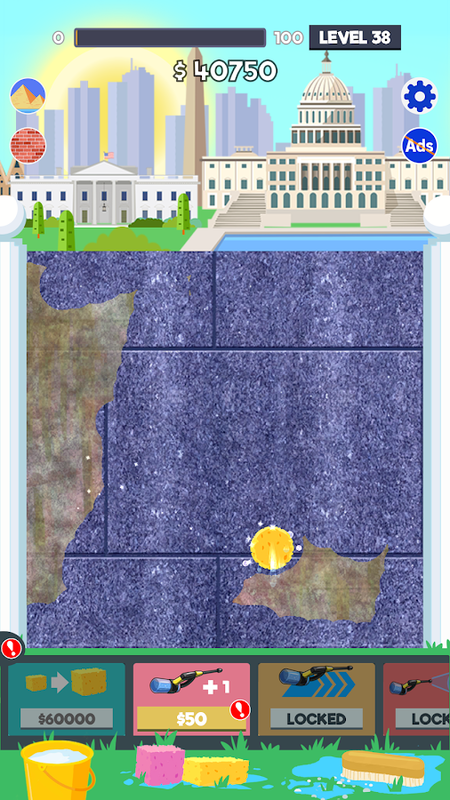 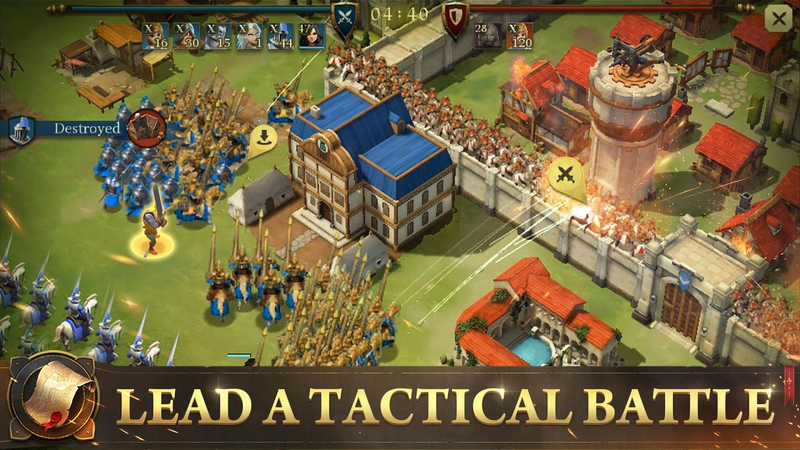 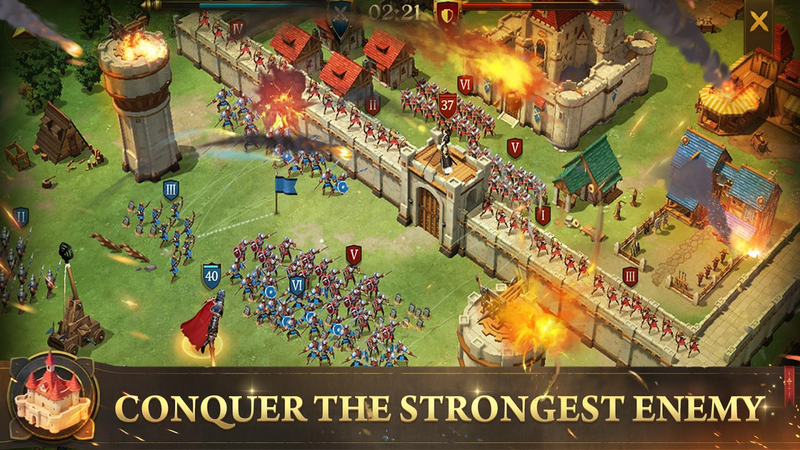 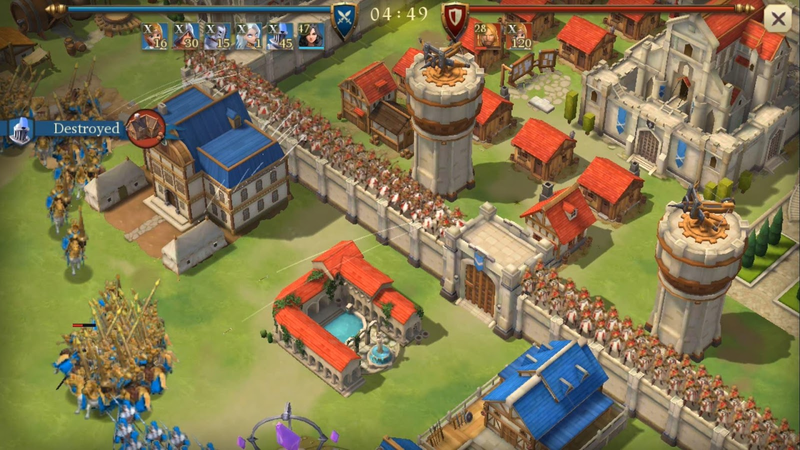 Almost every game on Android combines strategic gameplay with city building. 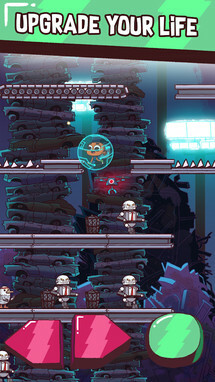 This is nothing new, but hey, at least you can count on a buggy experience on top of the extremely familiar gameplay. 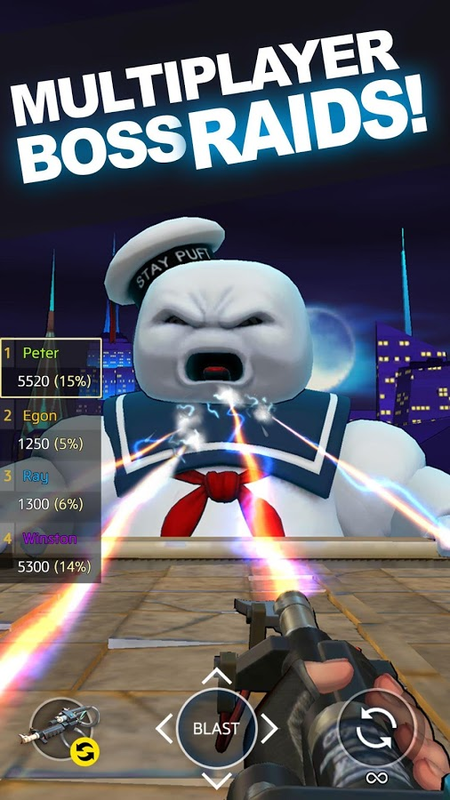 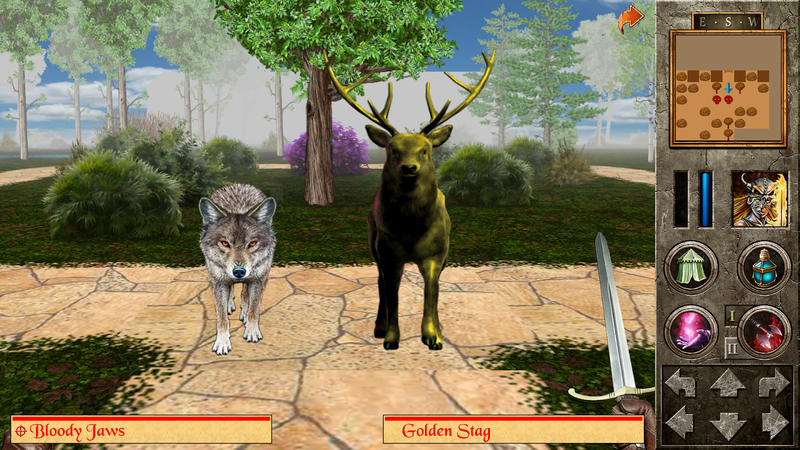 Golf Battle is the latest mini golf game from Miniclip. 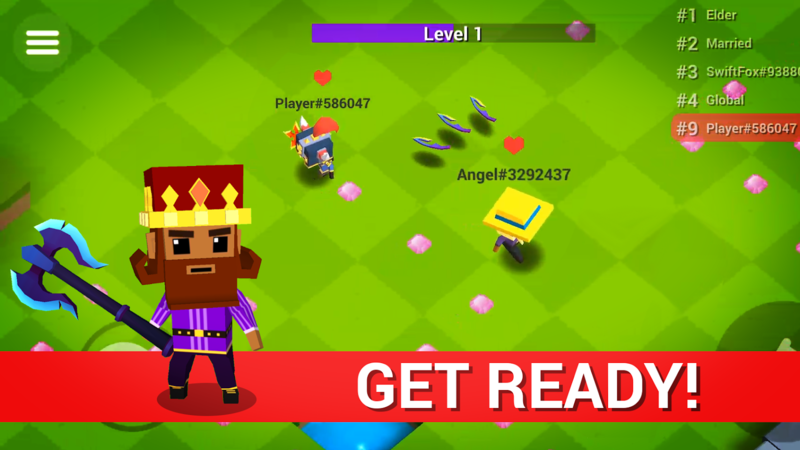 This time around you can play a round of golf with up to six friends, and all at the same time. 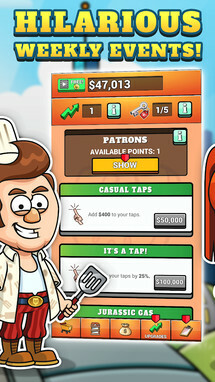 This creates a hectic atmosphere that is ripe for light ribbing and trolling, which makes for a heck of a lot of fun. 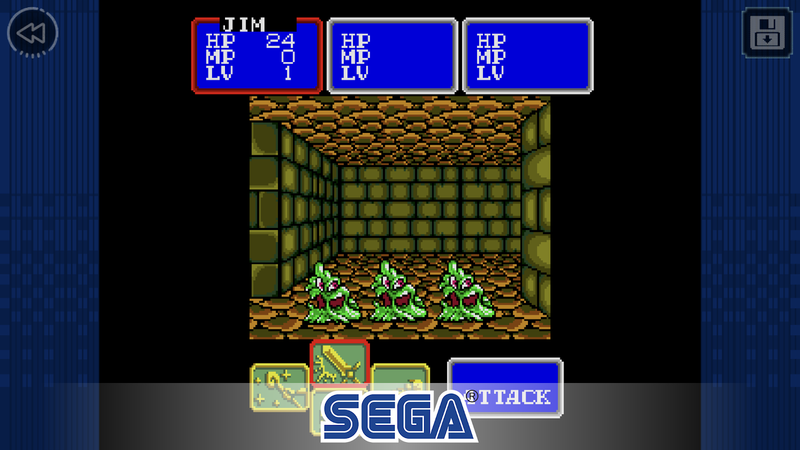 There is also a classic mode, for those that prefer to play by themselves. 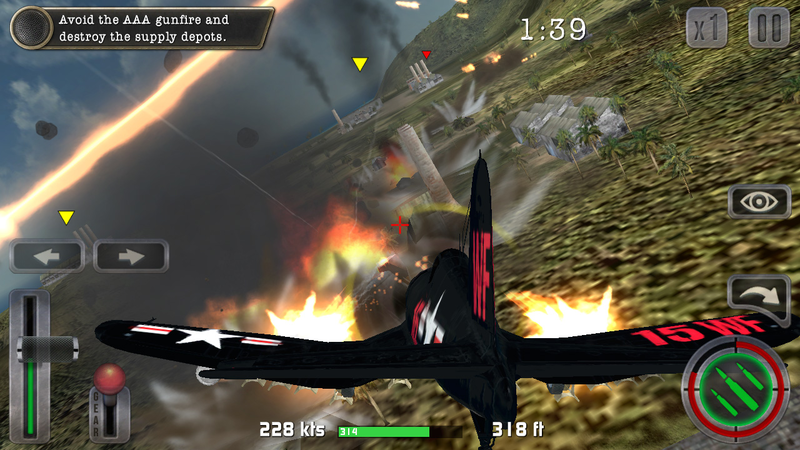 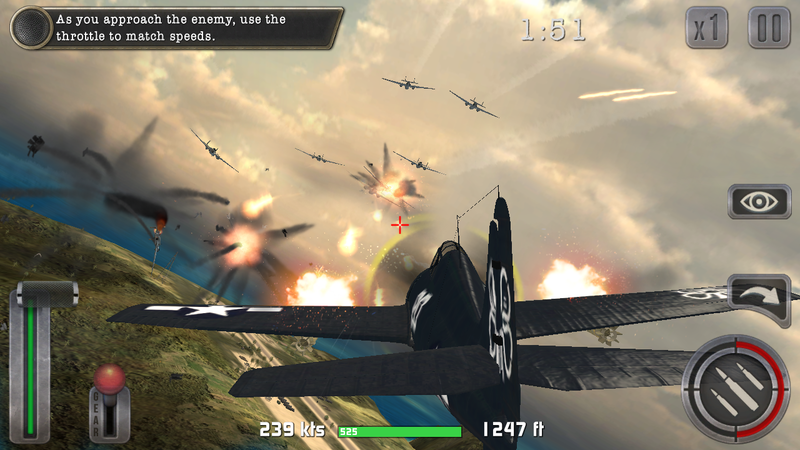 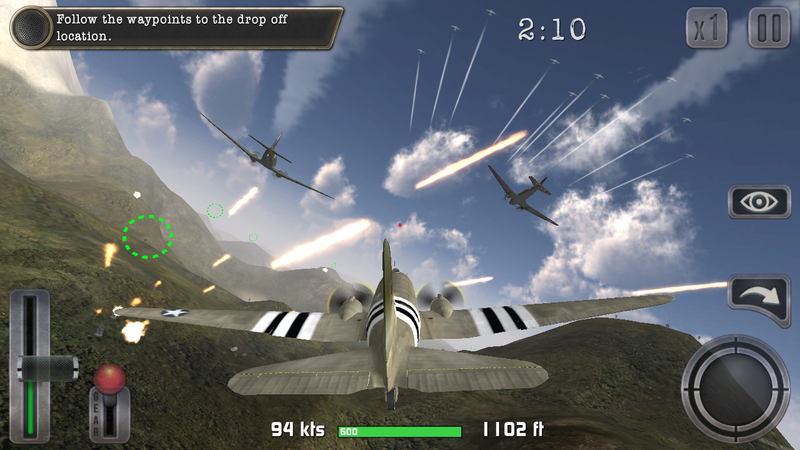 Air Combat Pilot: WW2 Pacific is a flight combat game with dozens of different aircraft, and over forty missions to complete. 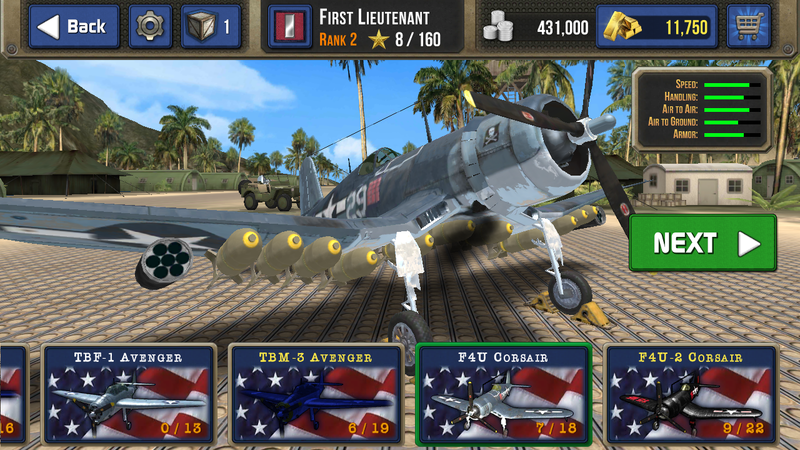 You can equip your aircraft with hundreds of different upgrades including rockets, bombs, guns, torpedoes, engines, and armor. 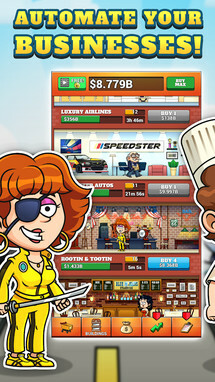 And if you feel this isn't enough content to keep you busy, new aircraft, missions, and locations will be added monthly. 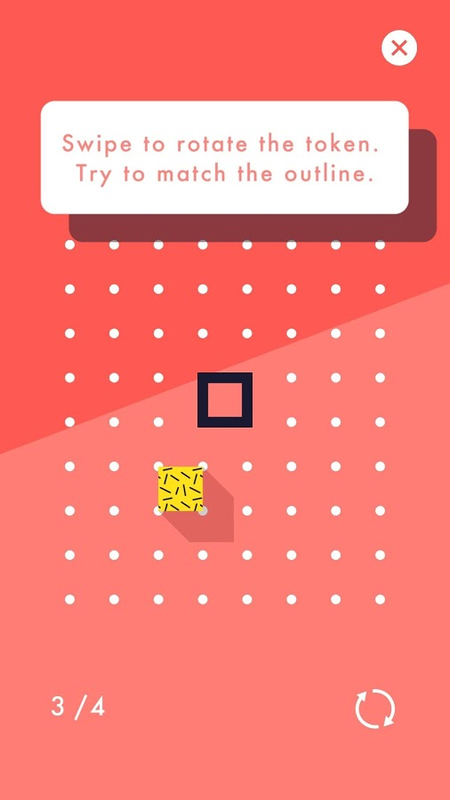 Man alive, I don't know why, but there's a heck of a lot of idle games getting released on Android lately. 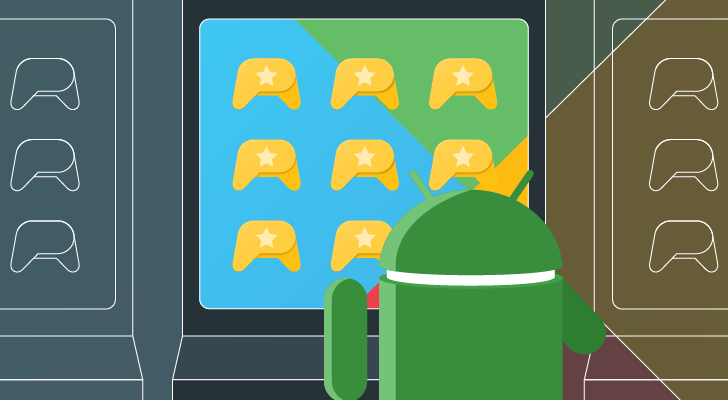 I suppose they are easy to make, so why not shove as many on the Play Store as possible to see if yours can make it to mainstream popularity. 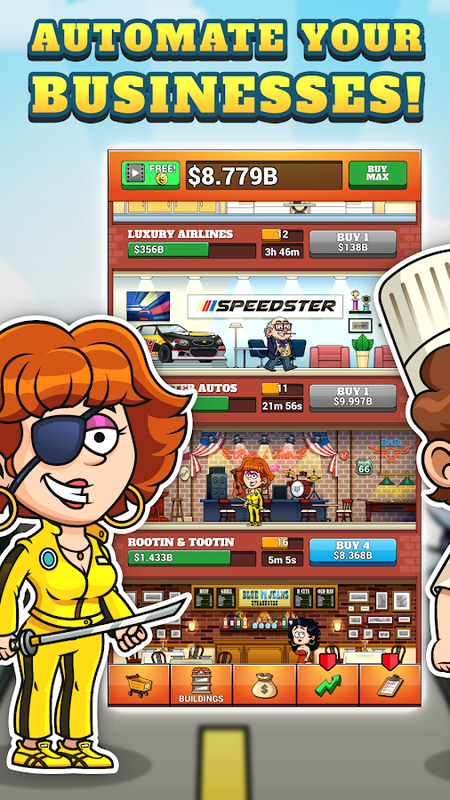 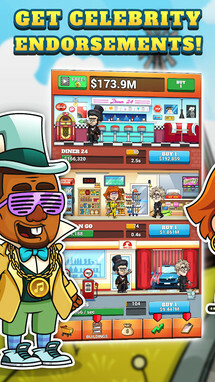 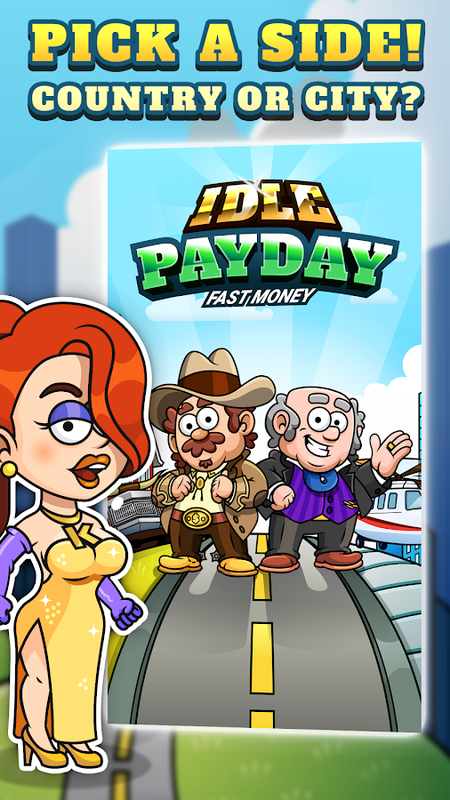 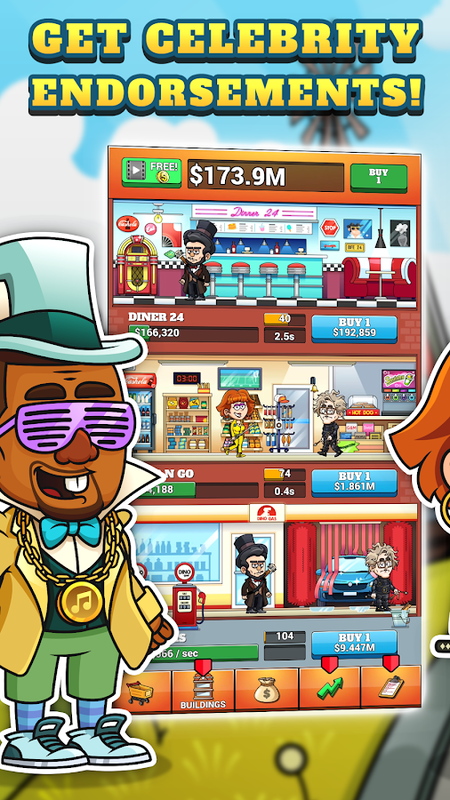 The latest developer to take a stab at this pot of gold is Kongregate with the release of Idle Payday: Fast Money. 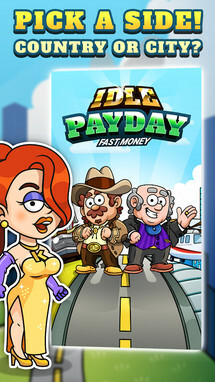 It works just like every other idle game. 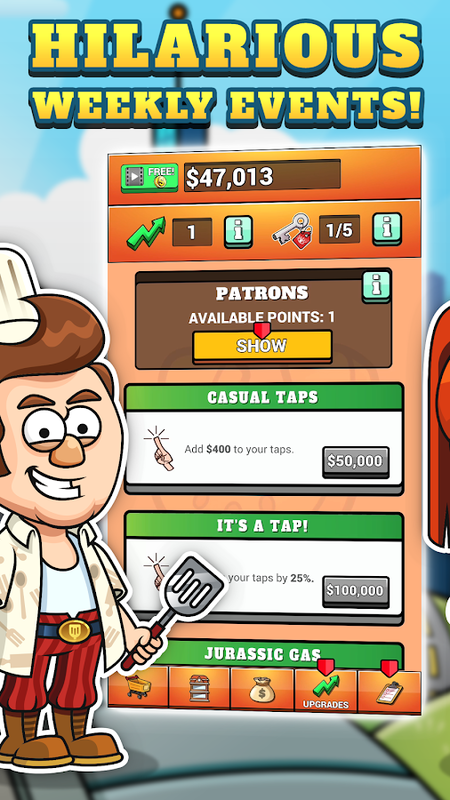 Simply start the ball rolling with a few taps, and then micromanage your earnings to upgrade the many things that earn you money. 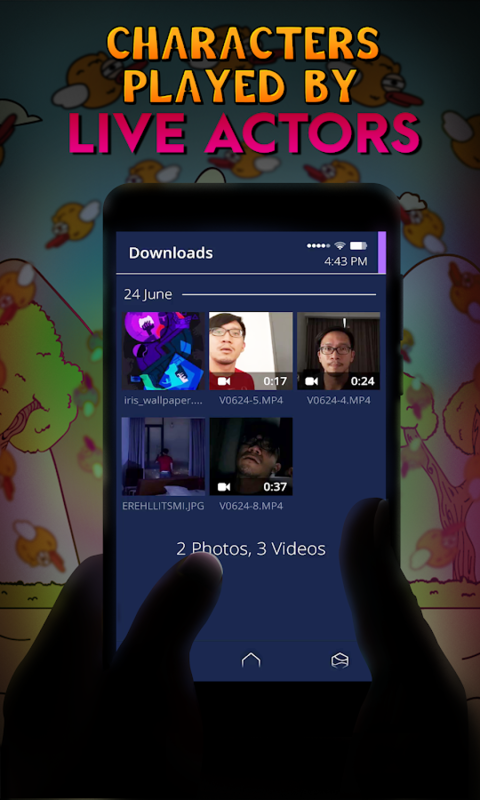 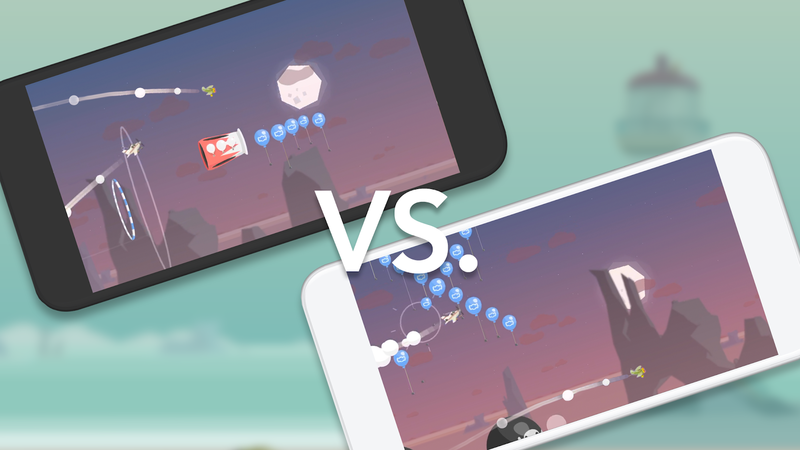 Throw.io is the latest real-time multiplayer io game to get released on Android. 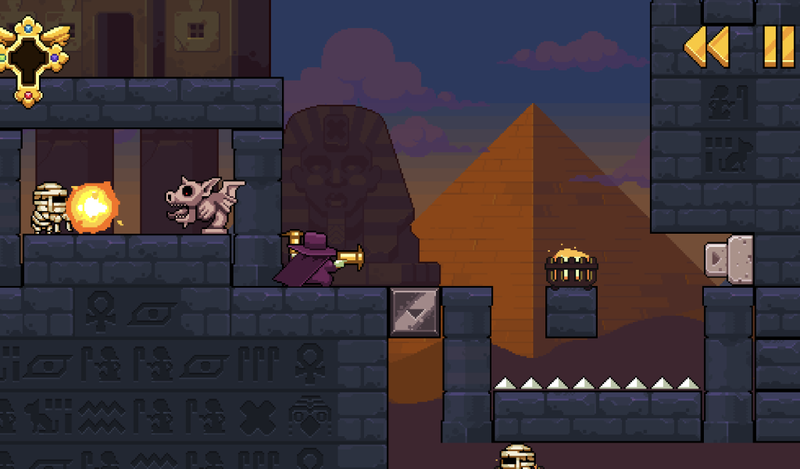 Your goal is to kill every single player you run across by throwing instruments of destruction at them before they throw one at you. 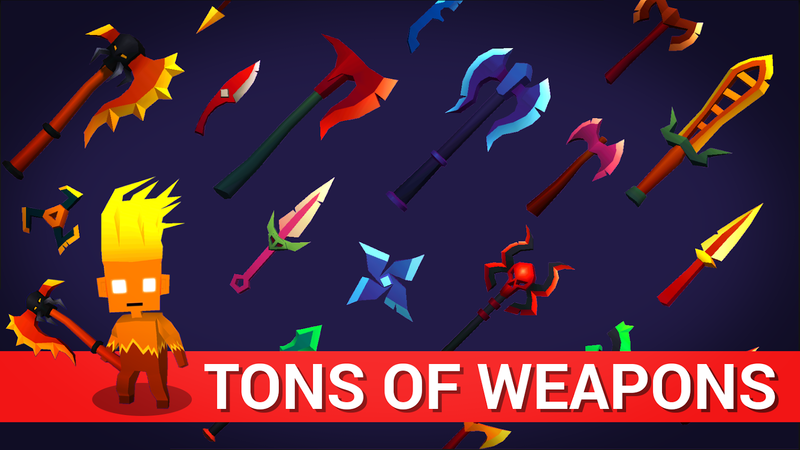 There are plenty of different weapons to collect, each with their own unique abilities. 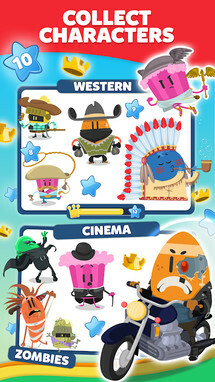 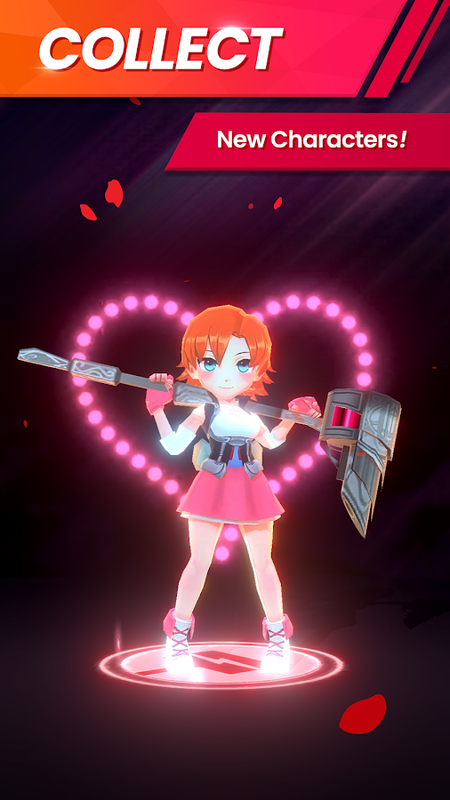 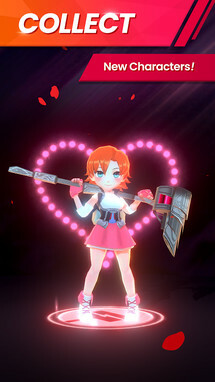 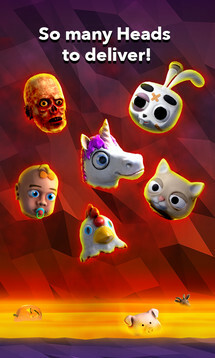 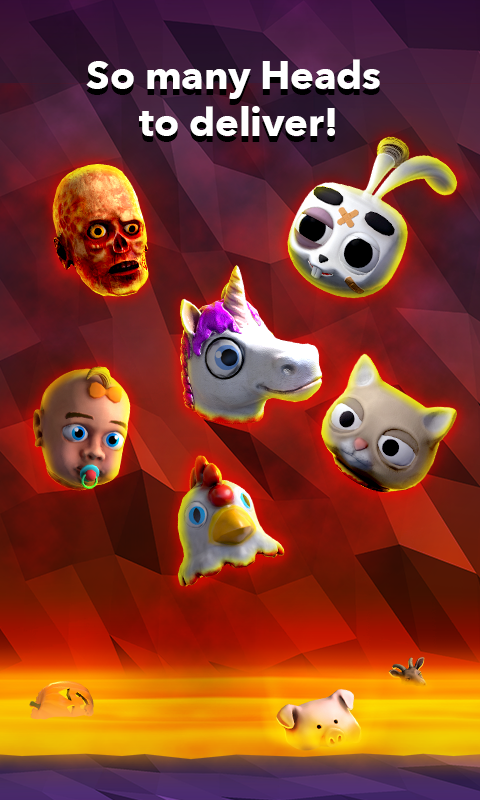 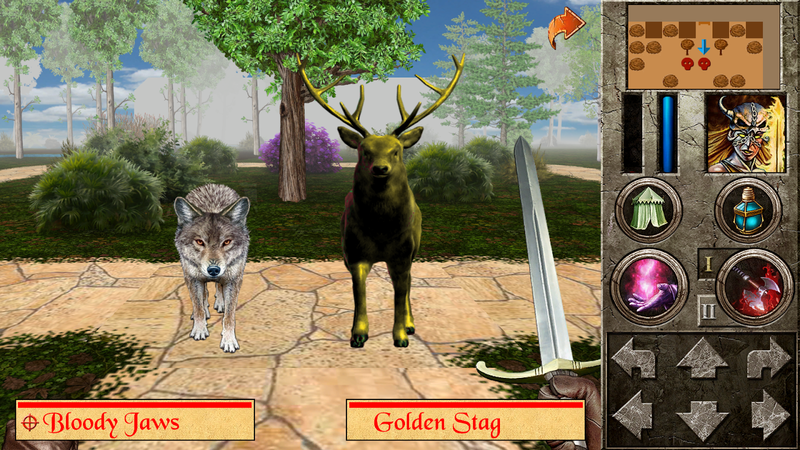 This adds an element of strategy to the game while also allowing you to customize how your character looks.